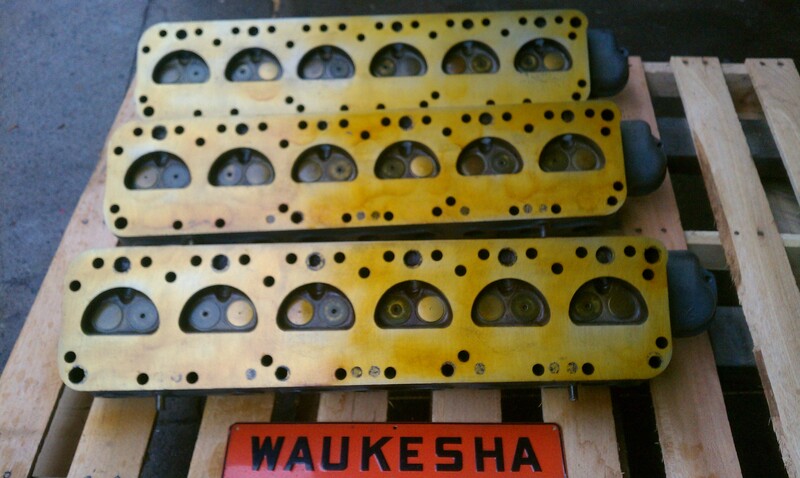 Waukesha 1077, Waukesha 2475, Waukesha 1616, Waukesha 1197, Waukesha H17, Waukesha 554, Waukesha 145, Waukesha 140 engines. 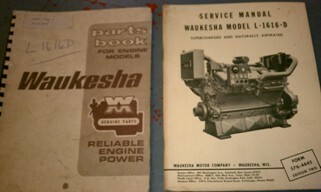 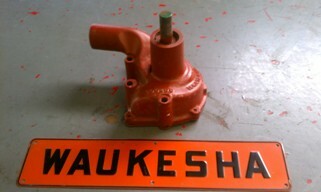 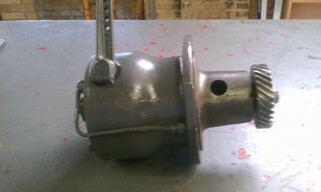 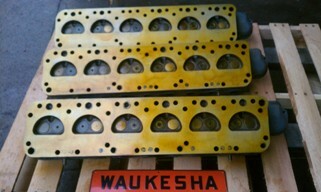 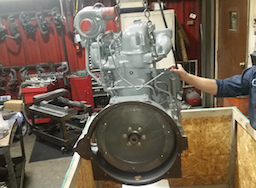 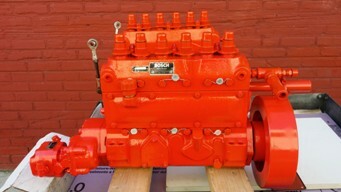 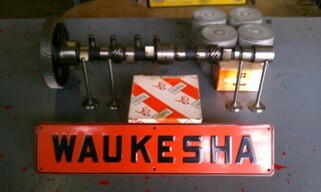 At Jobbersinc.com we have been dealing with Waukesha engines for over 60 years. cylinder heads etc plus service parts. 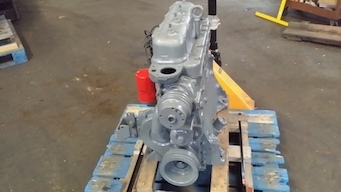 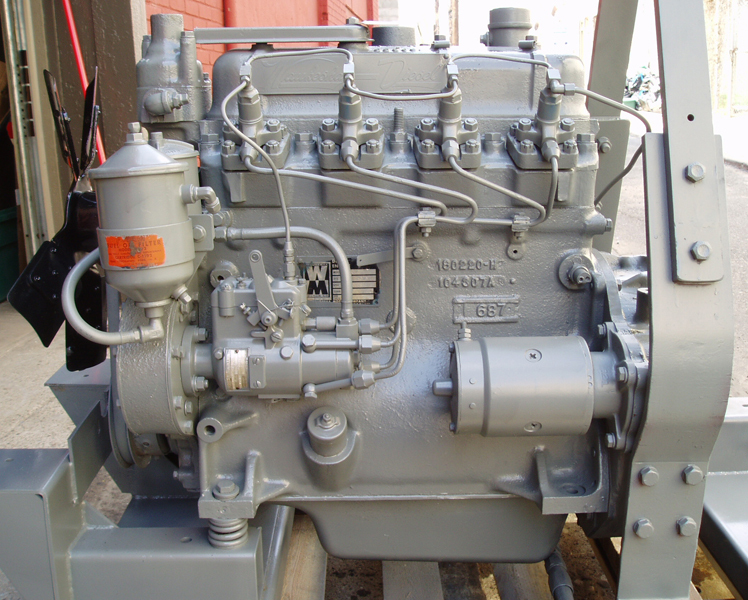 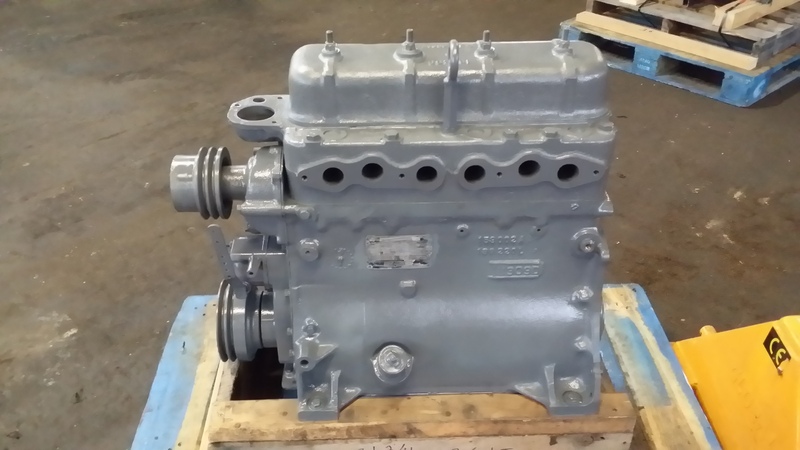 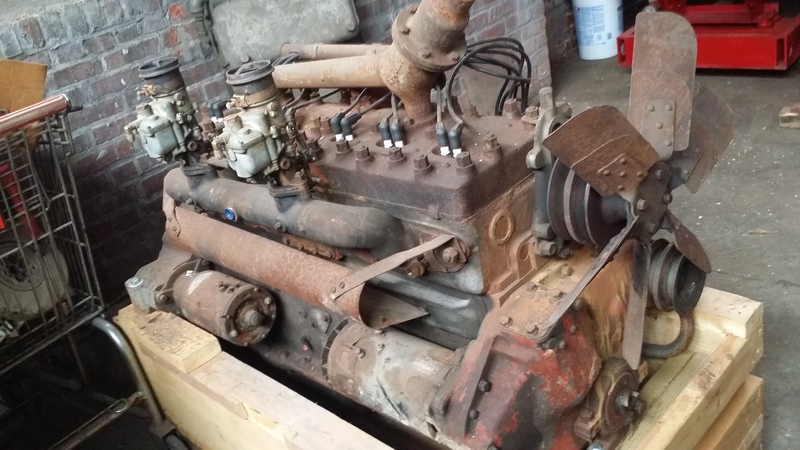 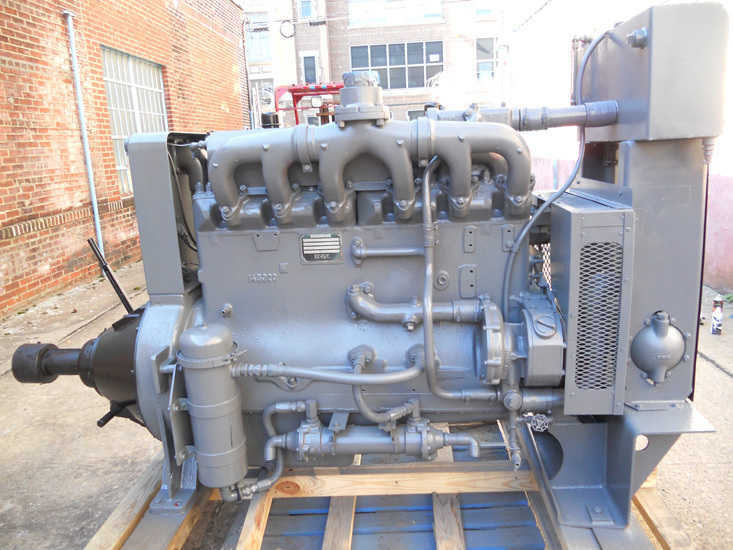 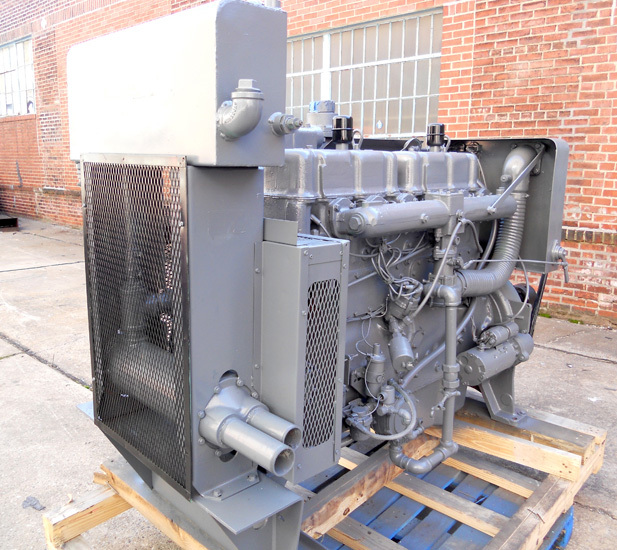 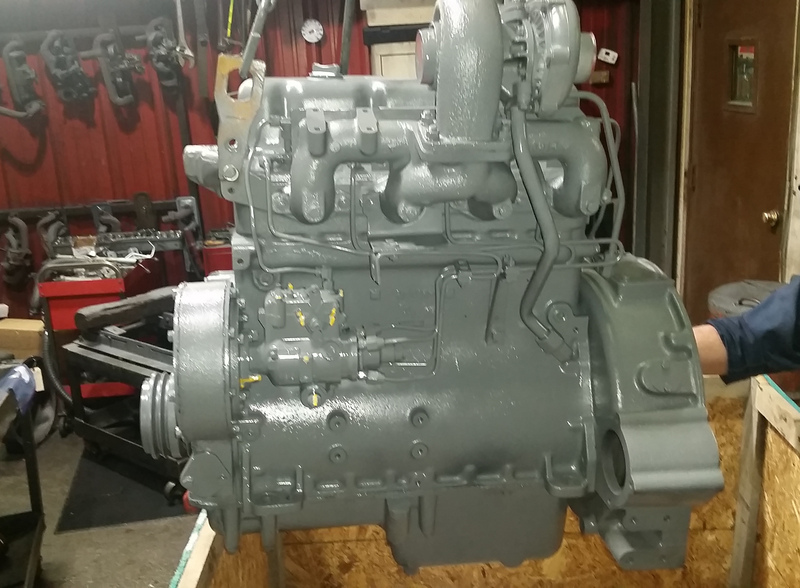 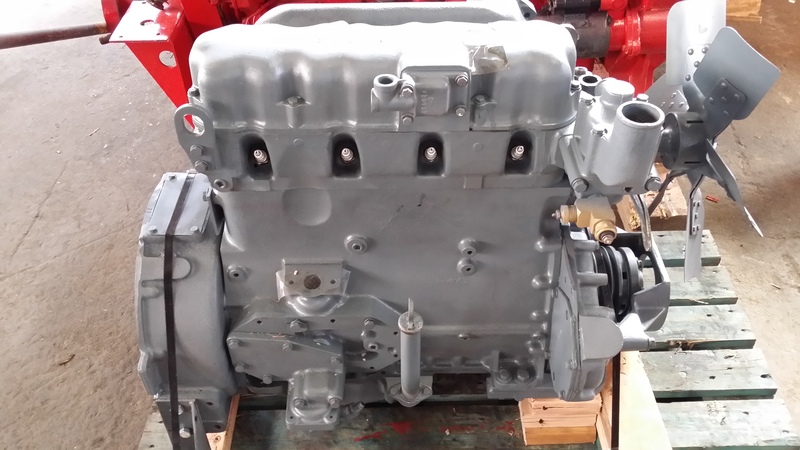 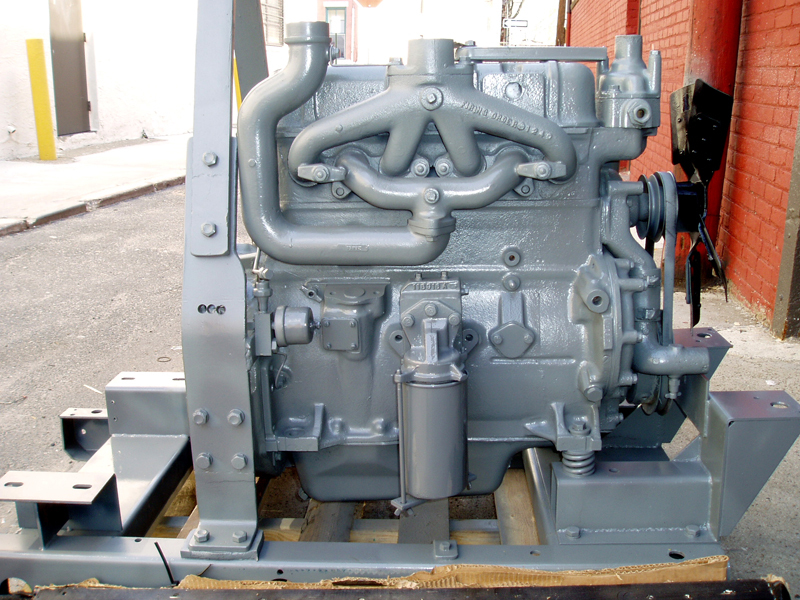 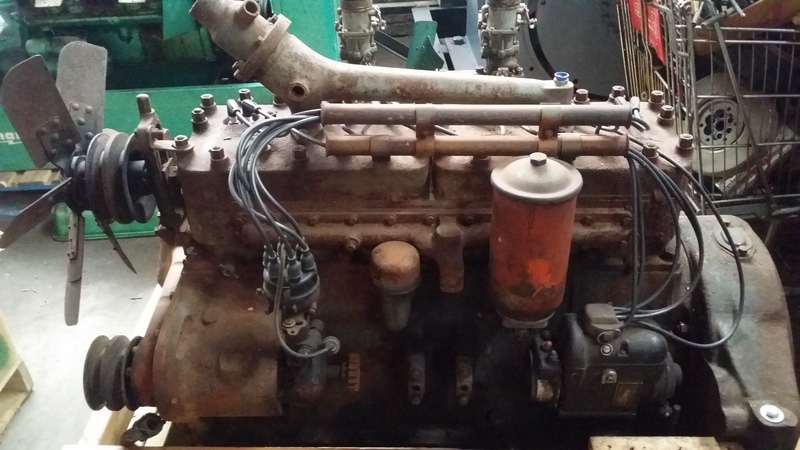 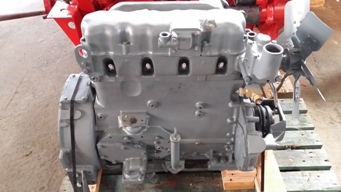 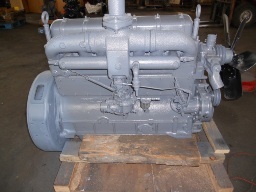 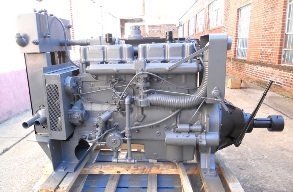 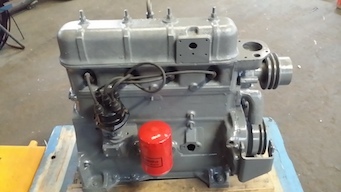 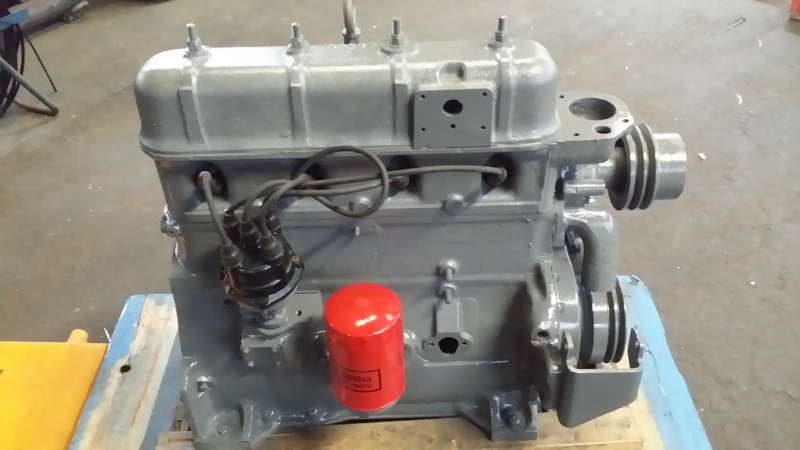 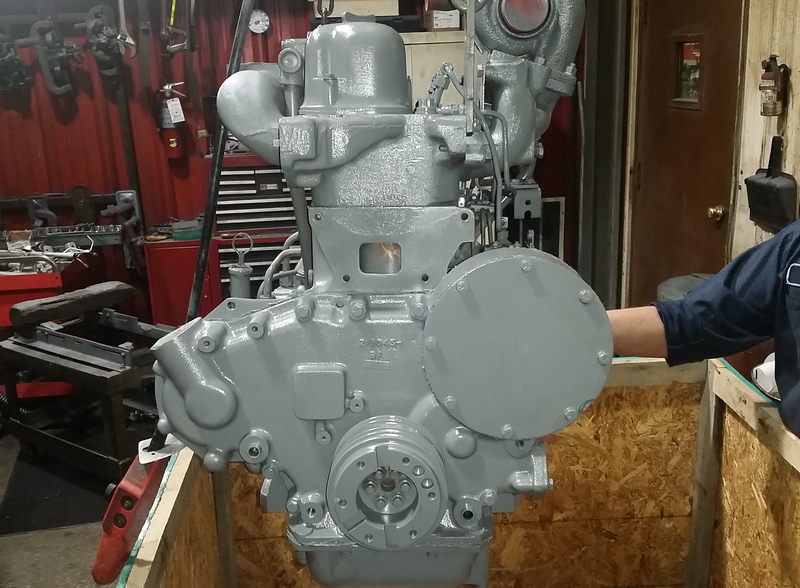 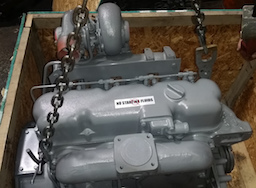 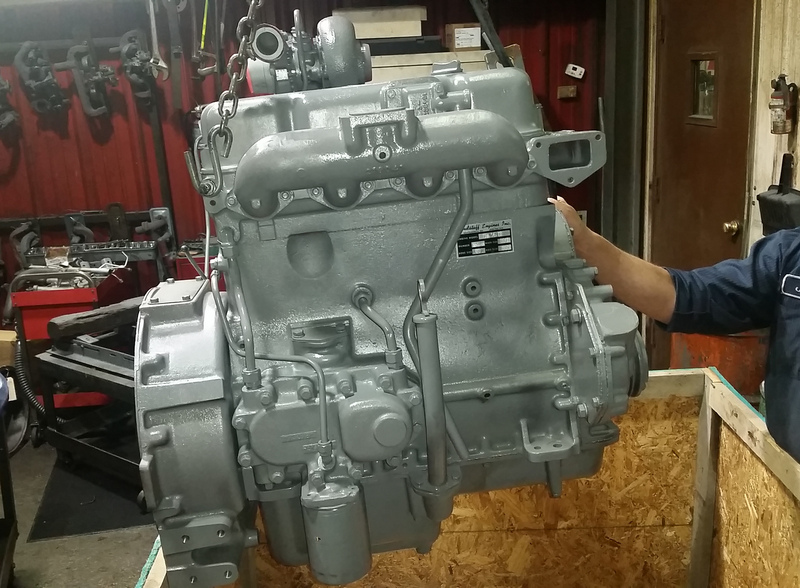 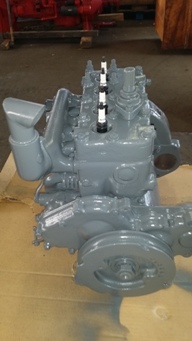 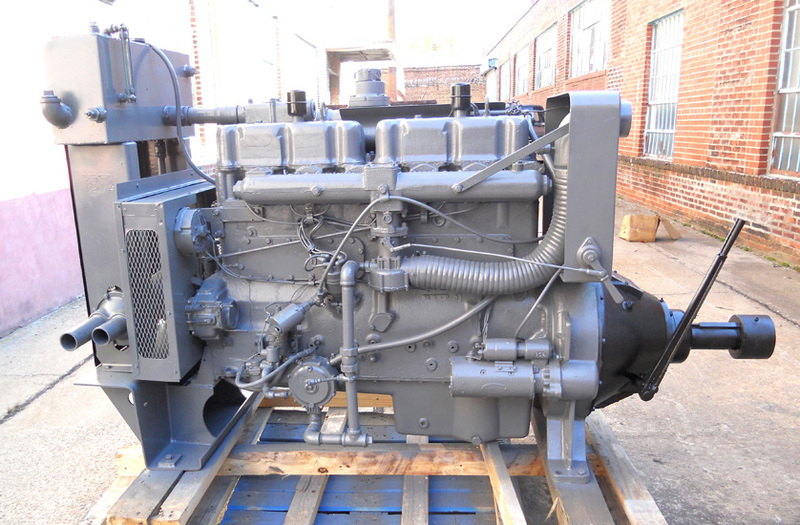 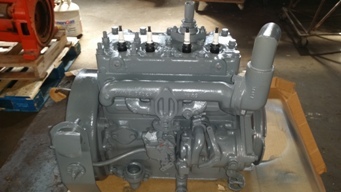 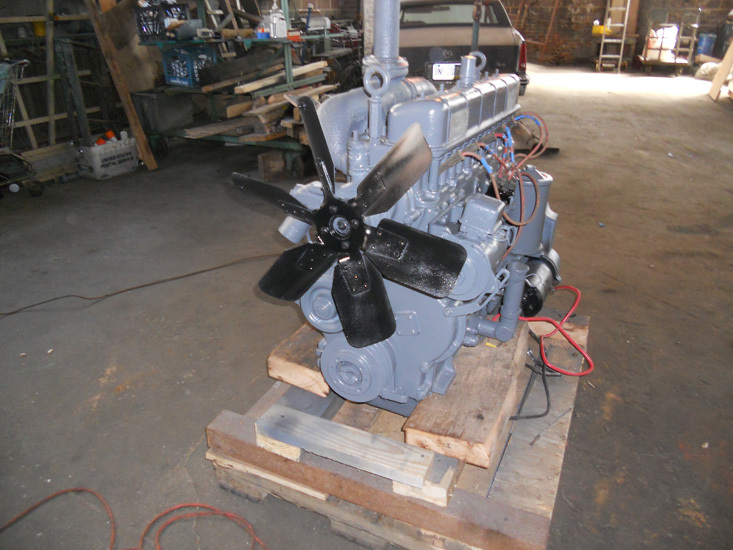 Waukesha VRG155 Surplus reconditioned engine assembly as shown, forklift, compressor, Galion roller, generator set, various commercial and industrial applications. 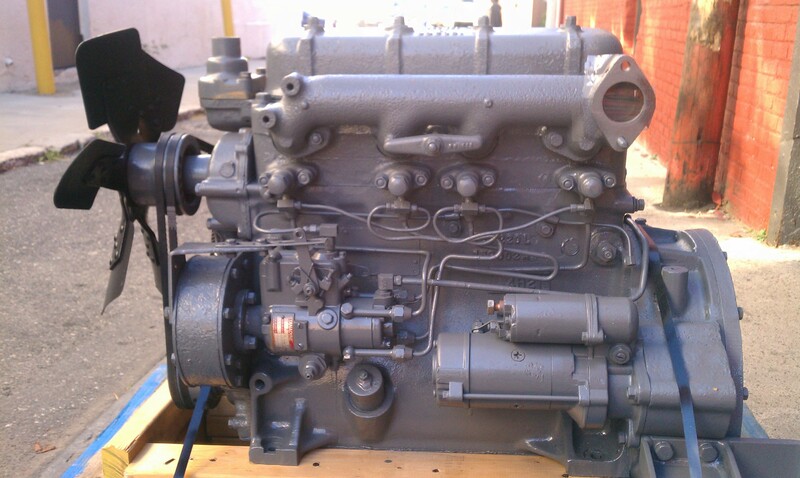 Parts available for the engine also in stock. 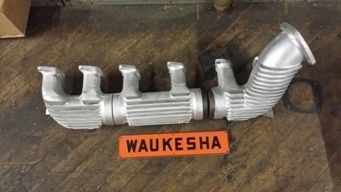 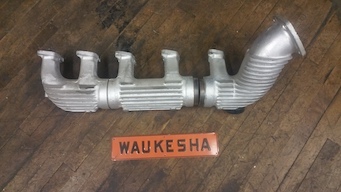 Waukesha F817GU Open Power Unit, Spec G43096. 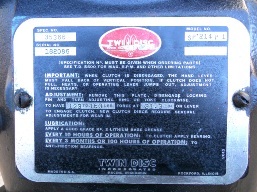 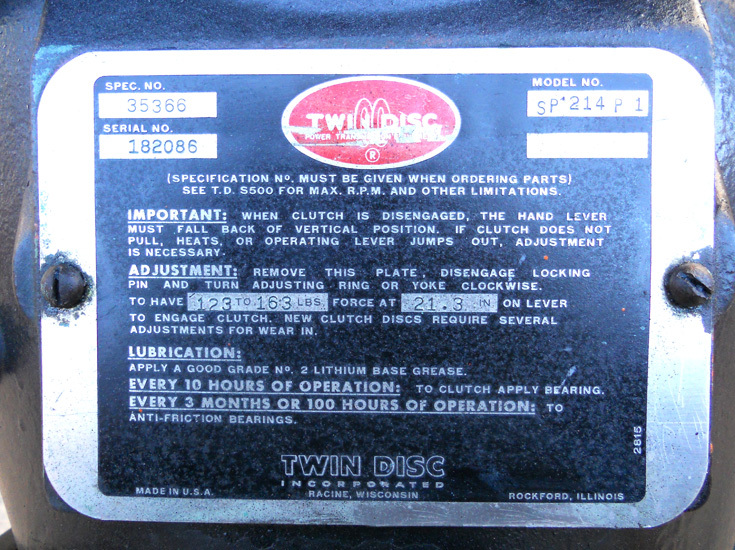 1800 LD Speed w/twin disc PTO. 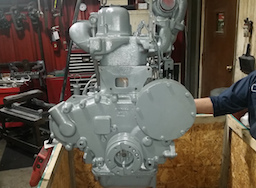 300 hours since new, heat exchanger cooled, dry manifold, w/ natural gas carburator, regulator and all electrics and accessories, guage panel, tachometer, and Murphy Safety System. 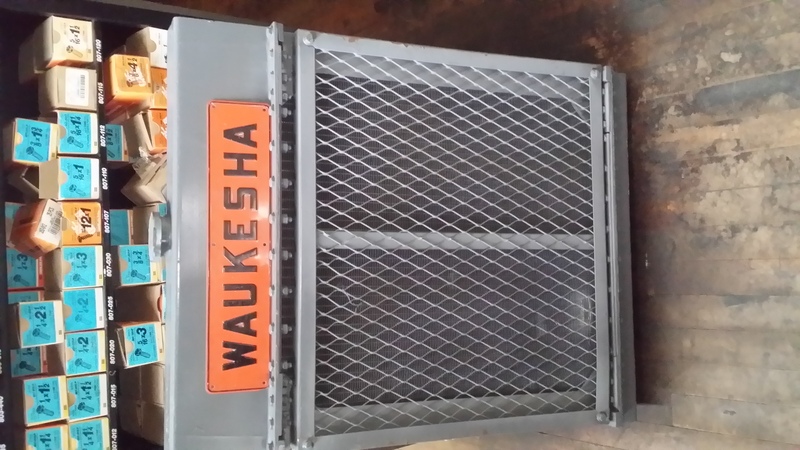 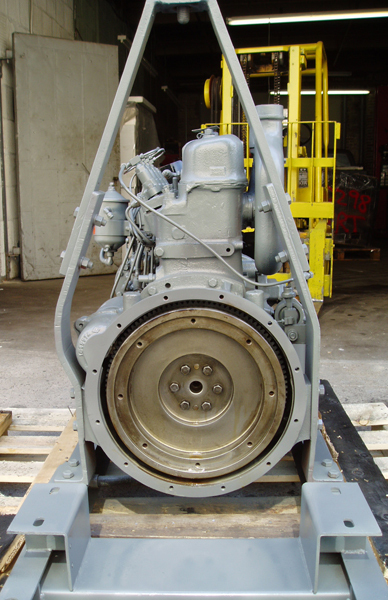 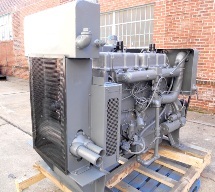 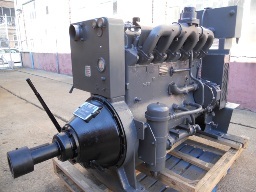 Waukesha 185GLB Natural Gas Power Unit, Surplus Remanufactured Unit, Complete With Electrics & accessories. 6BZ engine rebuilt complete. 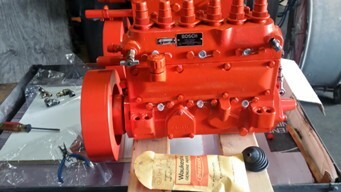 Crane application. 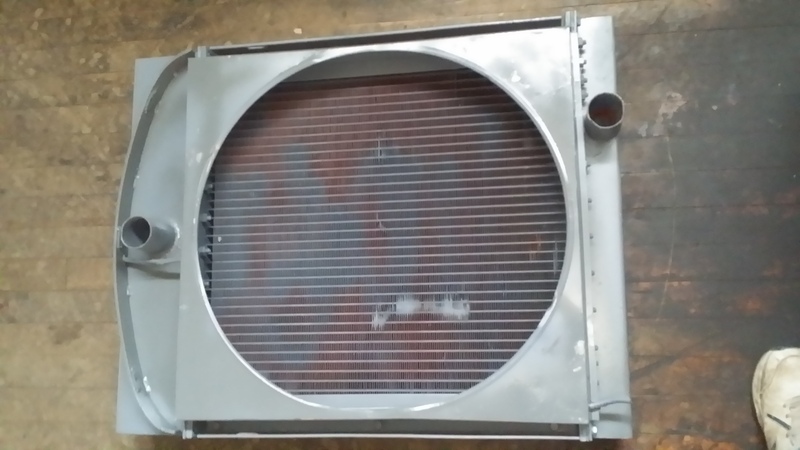 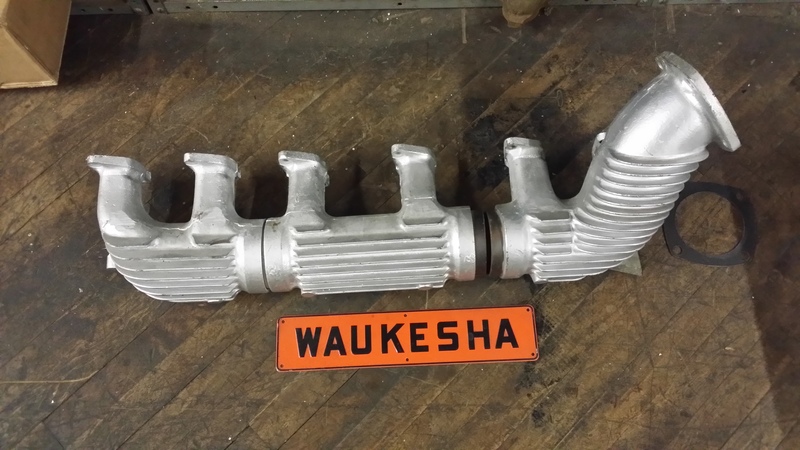 Waukesha VR SERIES RADIATOR, fits all VRG 155 Thru VRG 310, and VRD 155 thru VRD 310 , gas and diesel. Powe units, generator set, various industrial applications. NETO assembly, upgraded design, supersedes round top welded design. 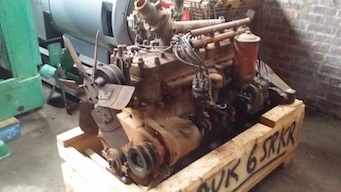 In stock, engines, parts for VR Series in stock as well. 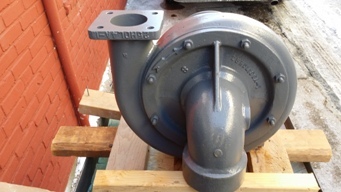 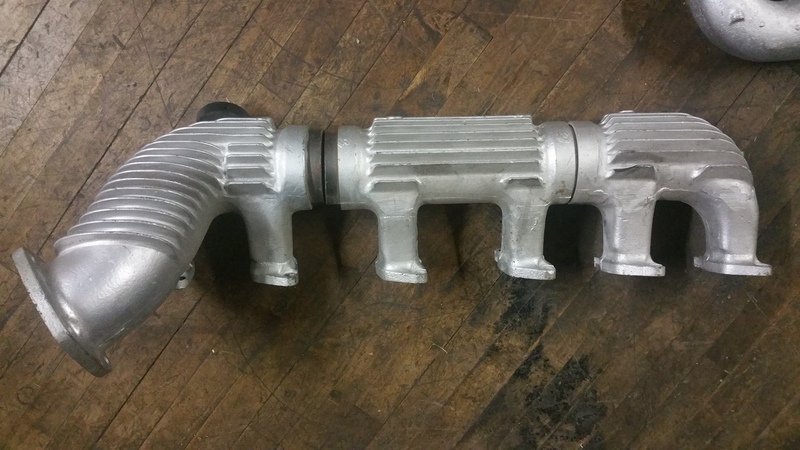 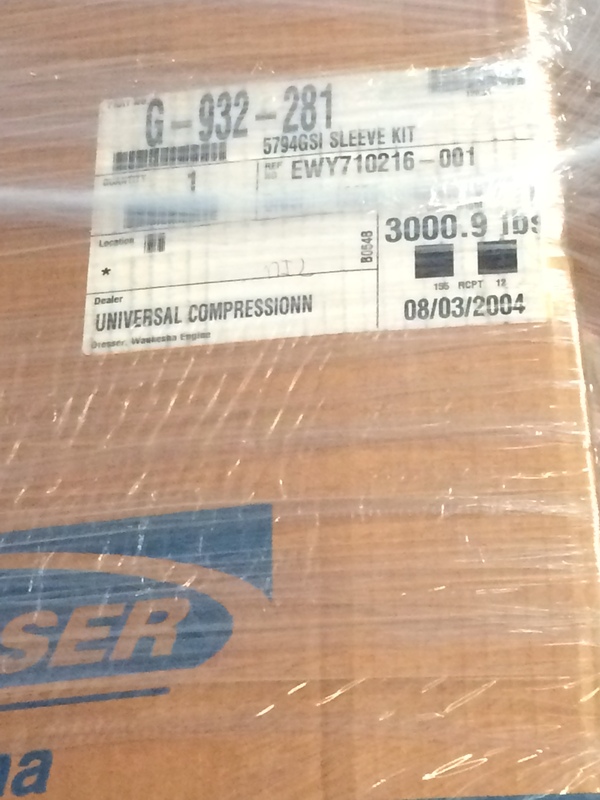 Factory Surplus New Old Stock Turbochargers Waukesha L5790 DSU, DSIU, L5792, & L6670 in stock. Heads, Injectors, Liners, Pistons, Rings, Head Sets, Bearings, other parts in stock. Complete VHP Diesel parts source which Waukesha no longer supplies. 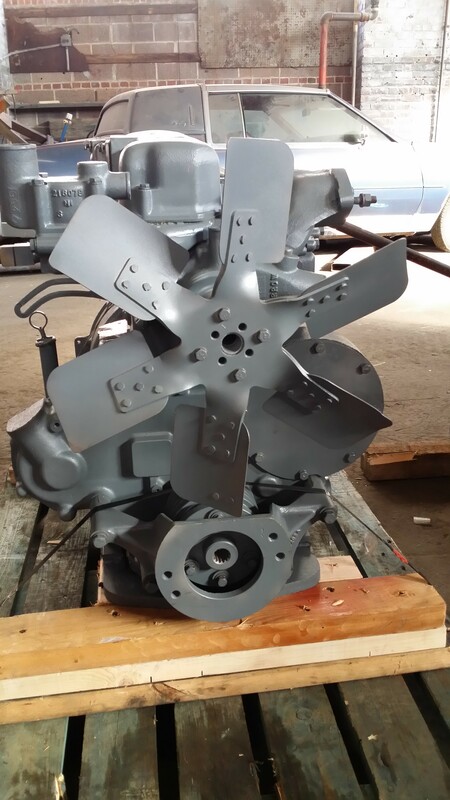 P/N E159412H L5792DSU Left Bank Turbo Assembly, Factory Remanufactured unit. 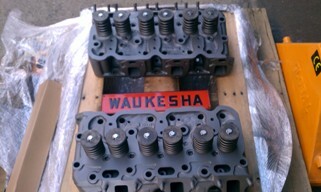 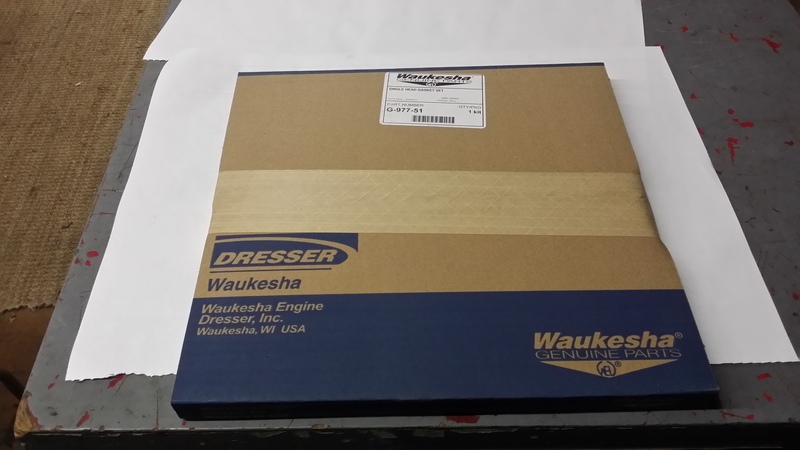 Waukesha New surplus cylinder head for Waukesha Engine models D155G and D176G, Clark Forklift applications. 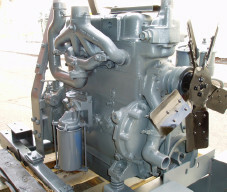 Water pumps and other parts available for the engines. 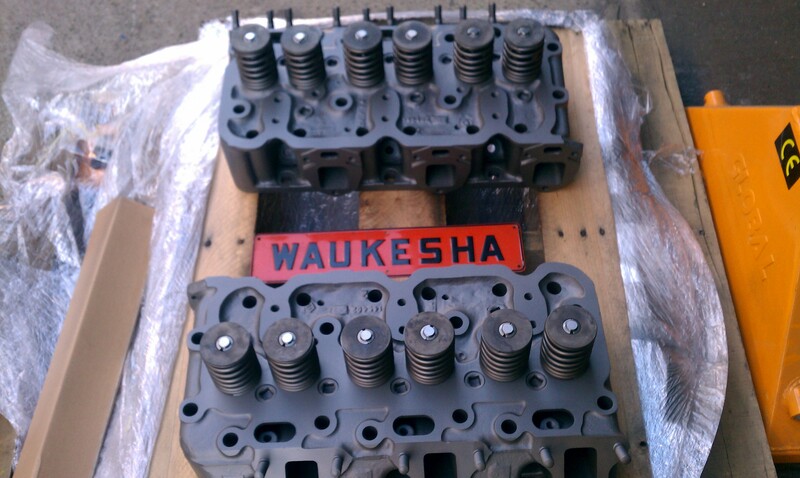 Waukesha Factory New Diesel Cylinder Head , Generator Set, Oilfield, Oil Platform. 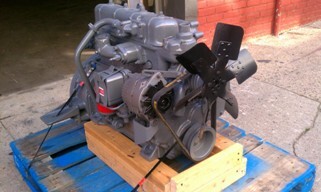 Engine Parts also in stock. 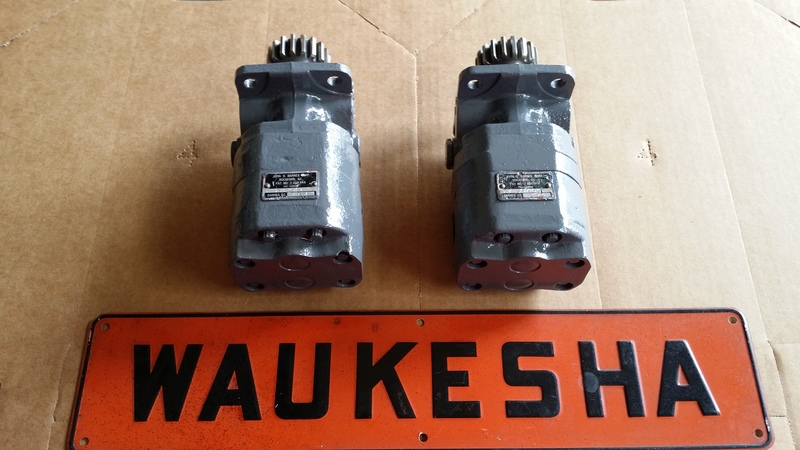 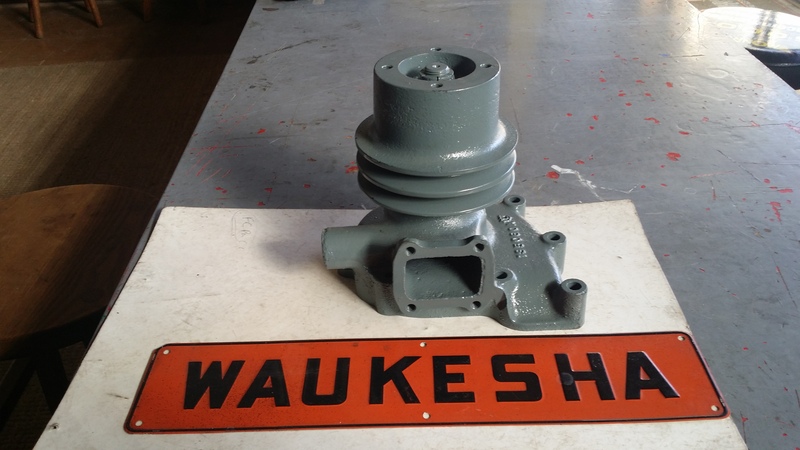 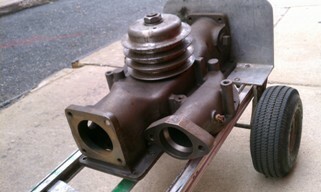 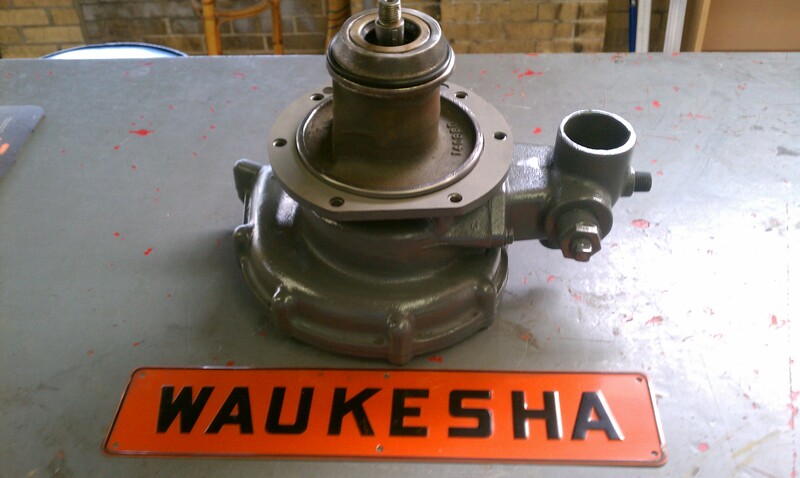 Surplus new Waukesha VRD 283 Head, complete. 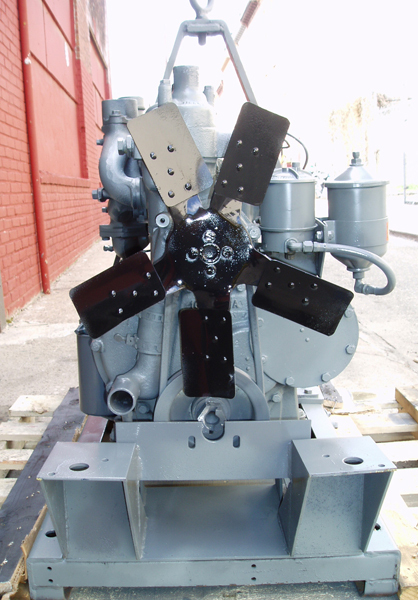 We also have Engine parts , fuel system parts, water pumps, other items available for these engines. 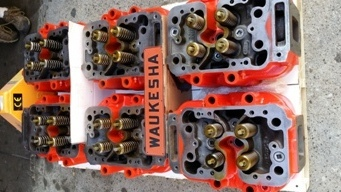 Waukesha surplus new cylinder head, pencil injector type VRD 283. 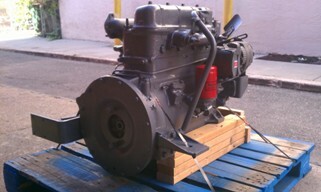 We have all parts in stock for this engine as well. 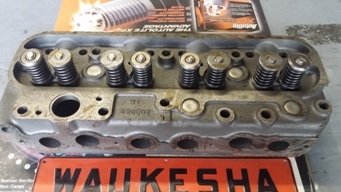 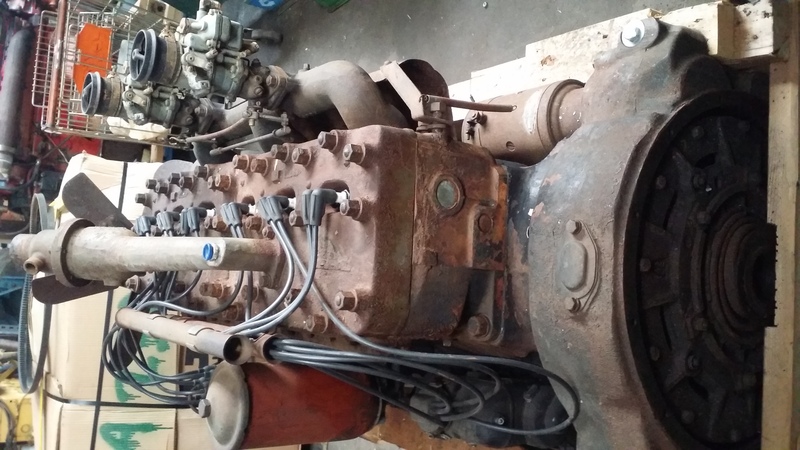 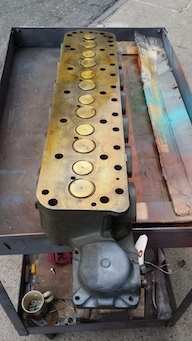 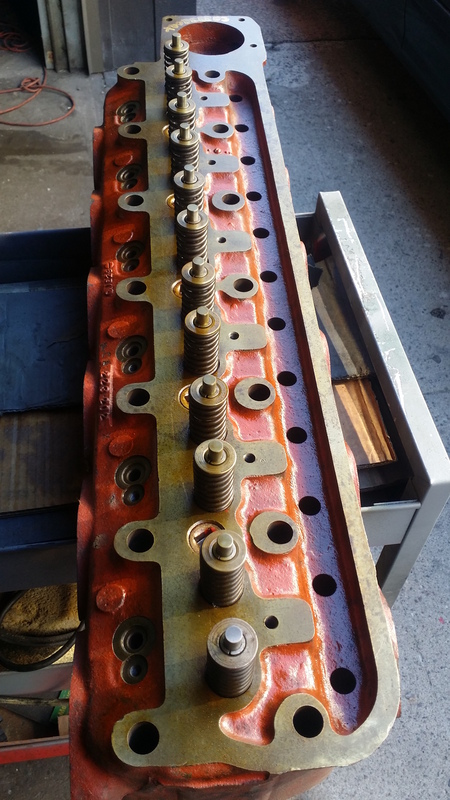 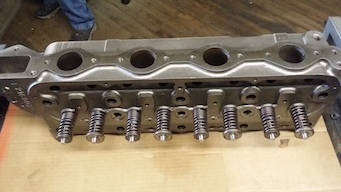 Two bare cylinder heads in stock. 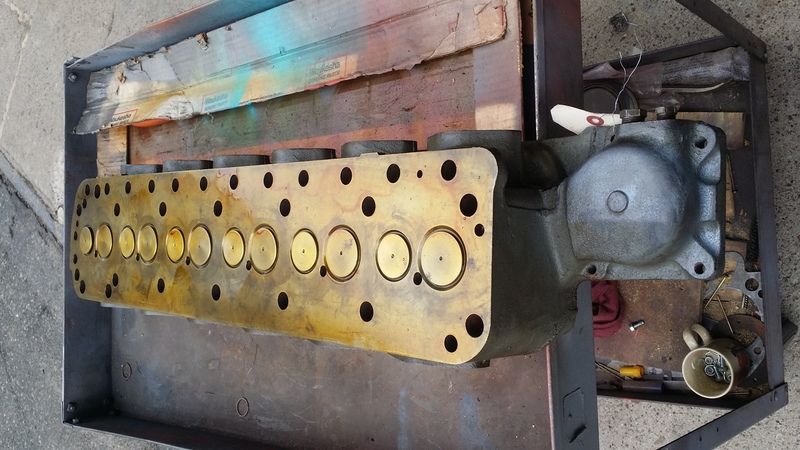 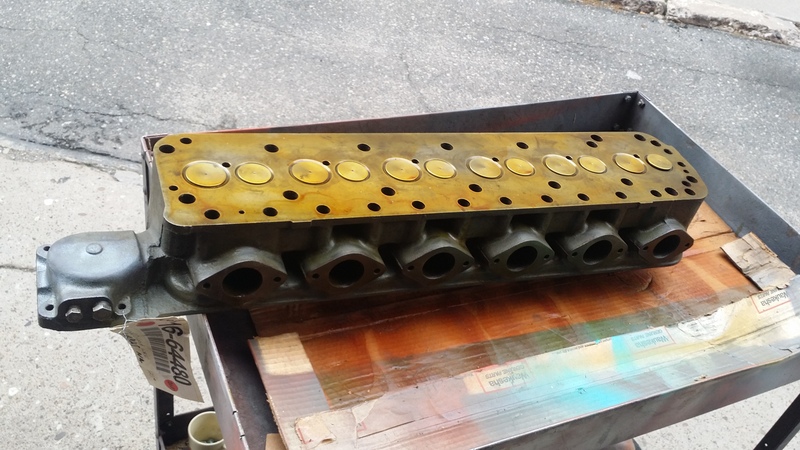 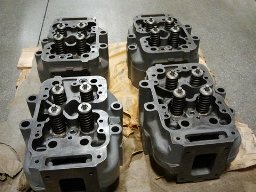 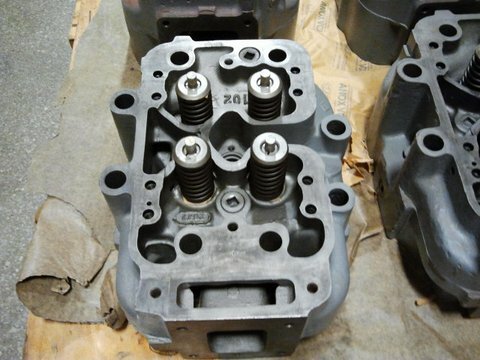 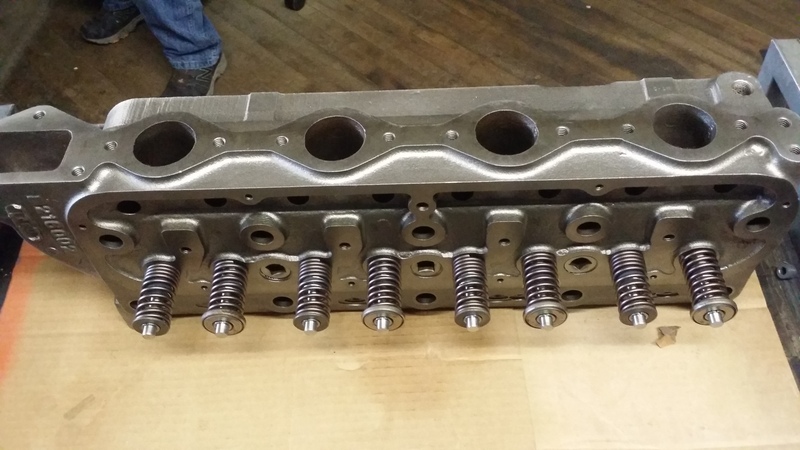 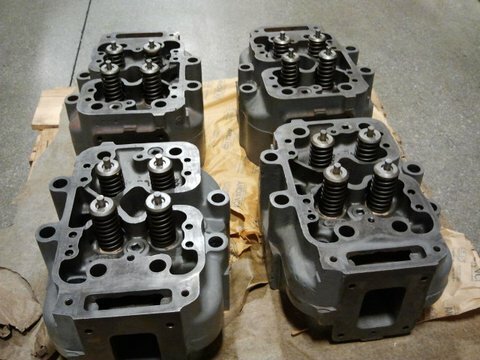 Good used cylinder head casting. 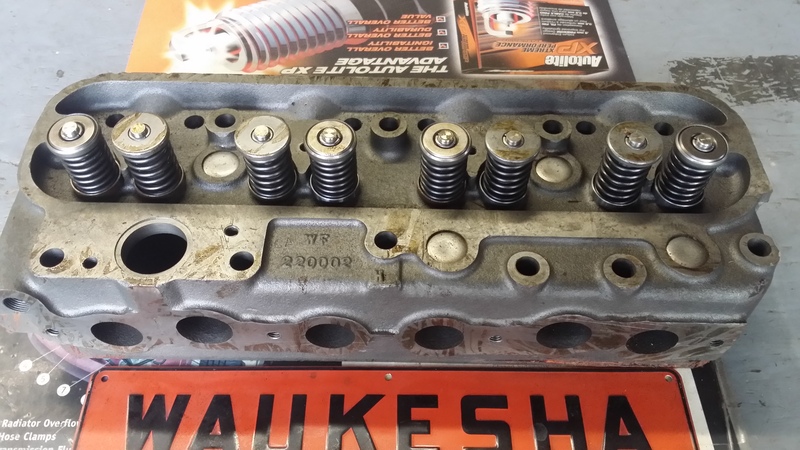 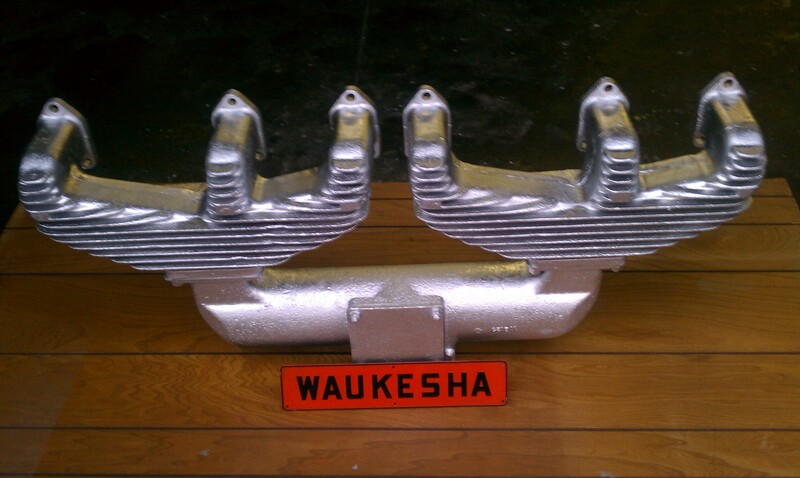 We also stock a full inventory of genuine Waukesha parts for this engine, including combustion cups for this head. 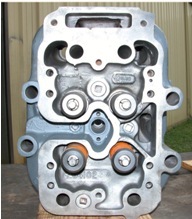 Cylinder head cores in stock, also valves and other components. Waukesha G977-51 Head Set separate fire ring design. 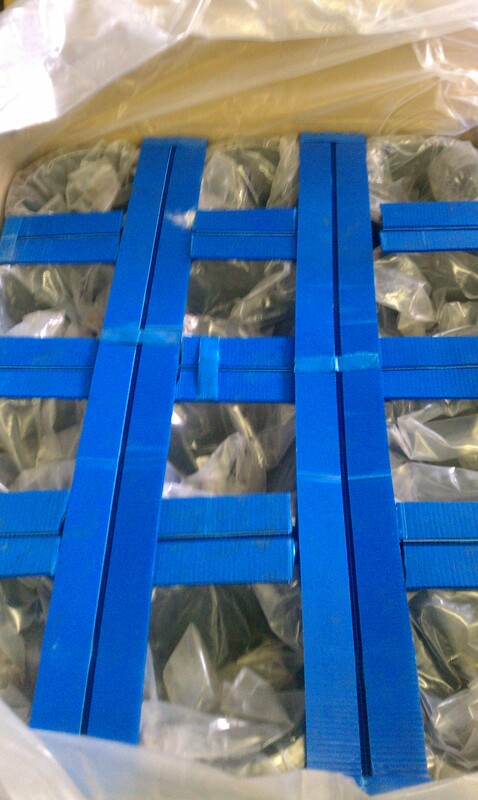 Head Set Integral fire ring design. 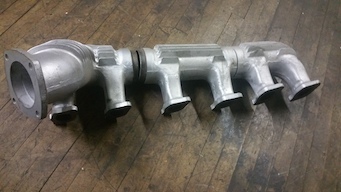 Heads, Turbos, Injectors, Pumps, Sleeves, Ring Sets, other items in stock. 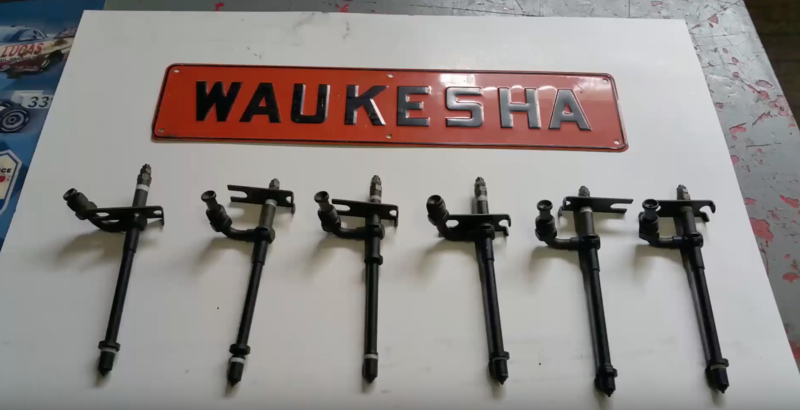 All items discontinued by Waukesha. 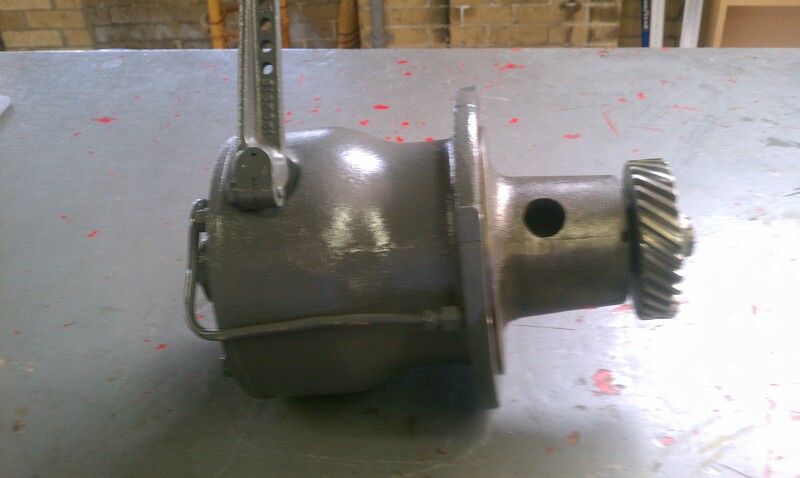 Surplus new rear outlet, ribbed design for improved heat transfer. 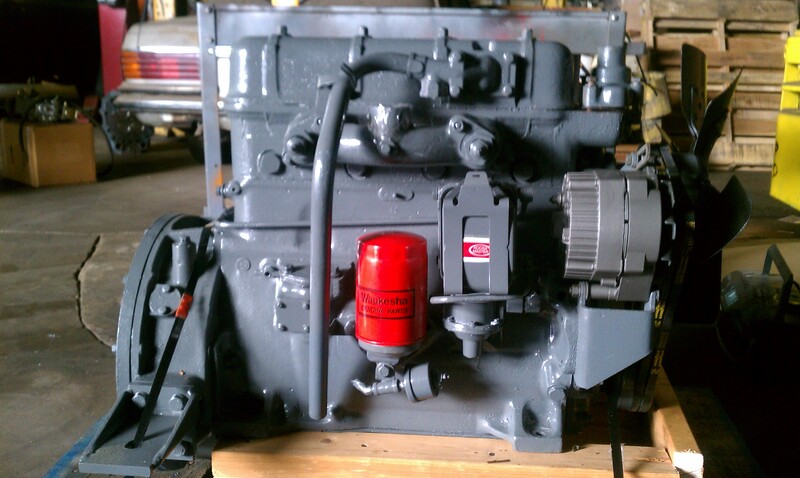 Fire Truck, Generator set, Power unit application. 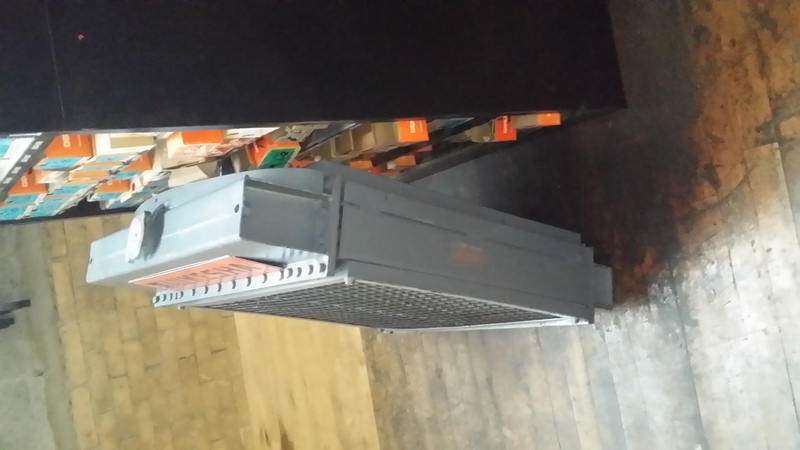 Can modify to replace center up outlet unit. 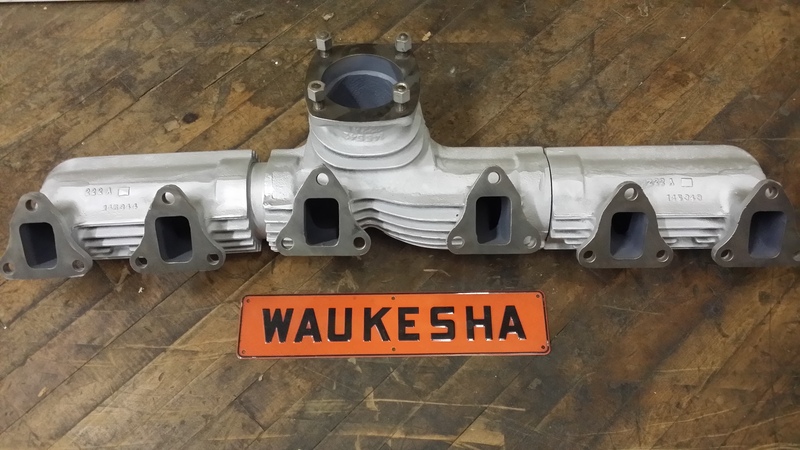 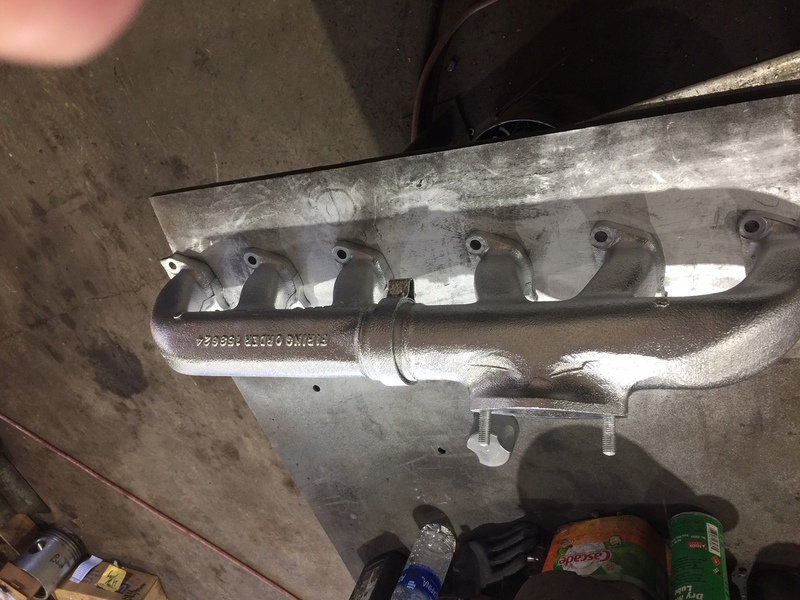 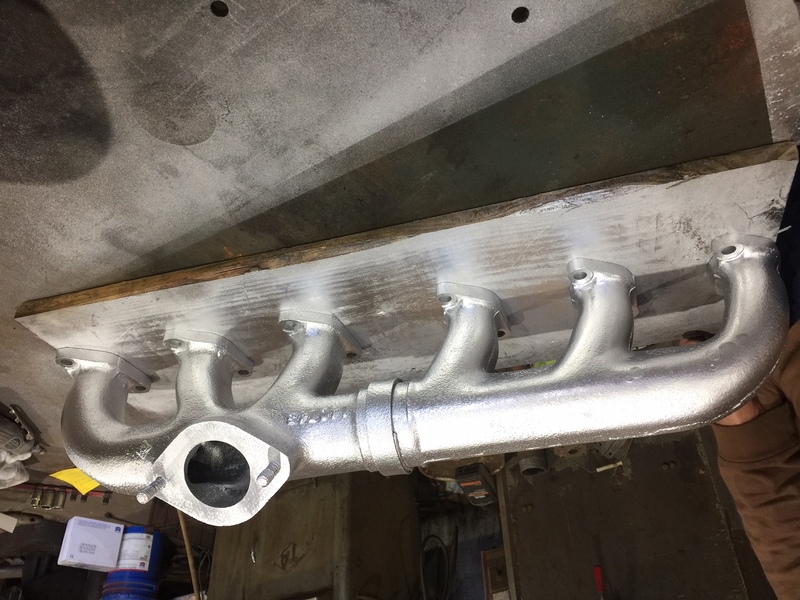 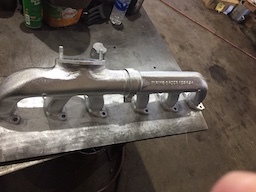 Waukesha F554G Exhaust Manifold Assembly , Center Up Outlet , Industrial Applicatication. 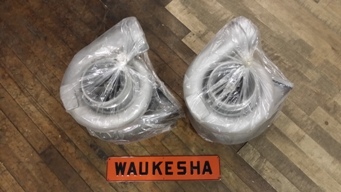 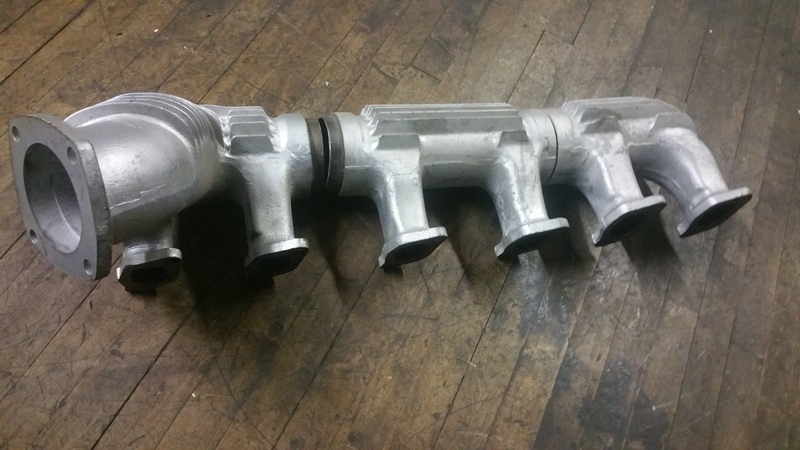 Waukesha Factory Surplus New F817G &145GZ Intake and Exhaust Manifold Assemblies with Gaskets. 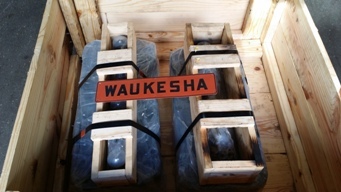 Waukesha F817G Factory Surplus New Water Cooled Manifold Assy, Generator Set, Stationary Power Unit , Water Pump. 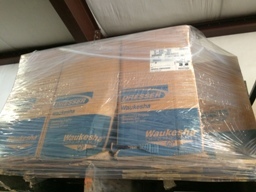 Waukesha F1197G Factory Surplus New Take-Off Manifold Assy, Generator Set, Stationary Power Unit , Water Pump. 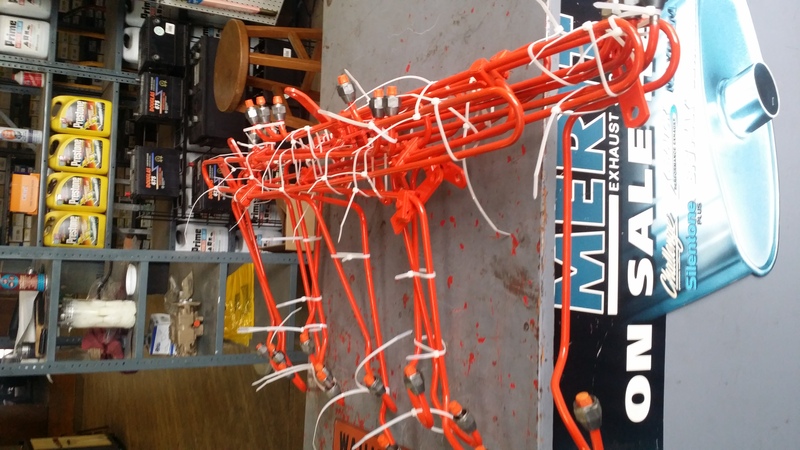 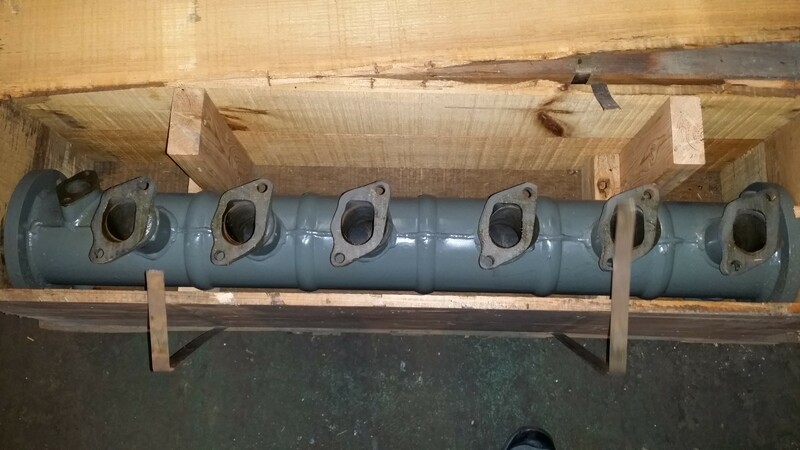 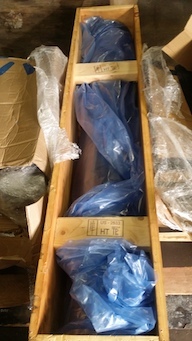 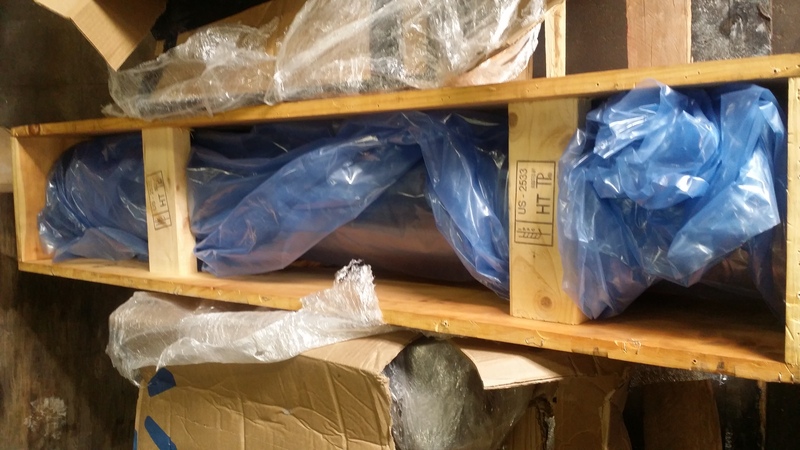 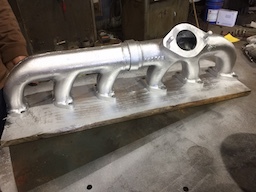 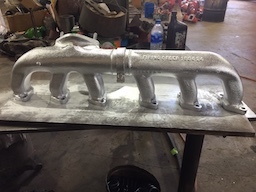 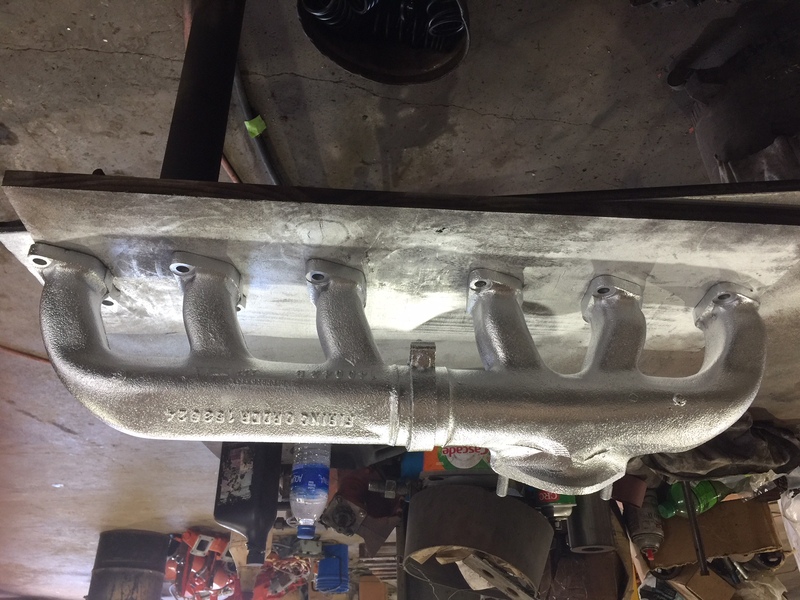 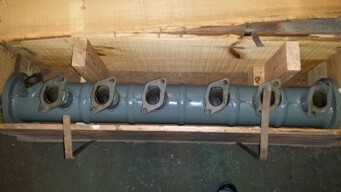 Factory Surplus New Water Cooled Exhaust Manifold assembly in original crate. 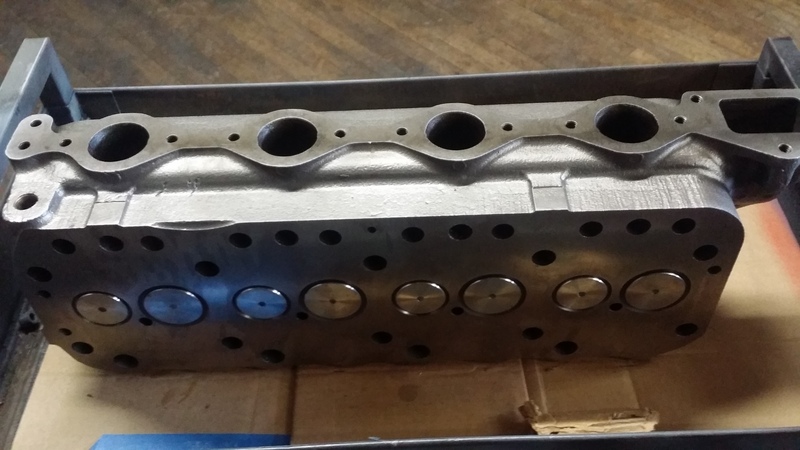 Cylinder heads, water pumps, gaskets, engine parts in stock. Waukesha Water Pump For 145GK Engine. 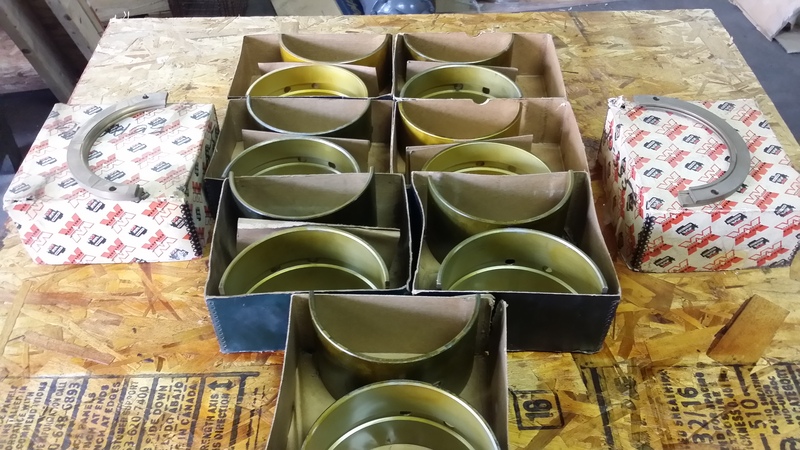 Fits 145 GK, GZ, GZB Units. Factory Surplus Remanufactured Unit. 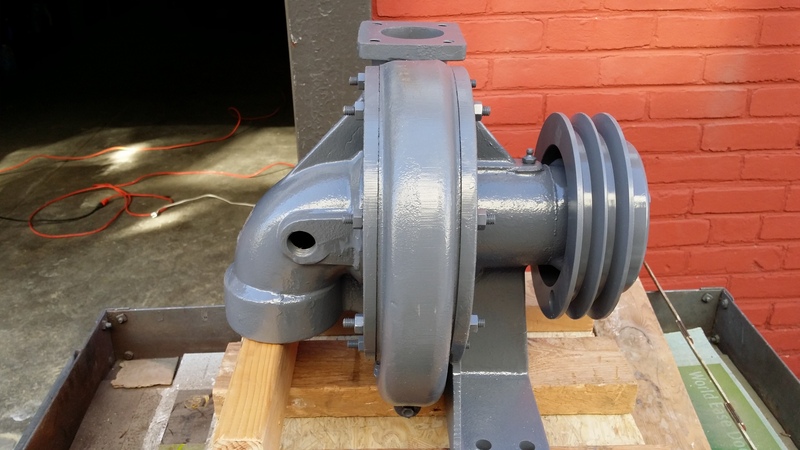 Waukesha Water Pump For Emergency Generator Set For Hurricane Sandy Relief In NY. 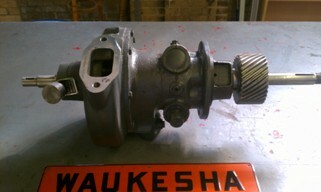 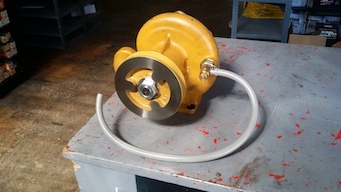 Waukesha Factory Surplus New Water Pump, Belt Driven. Engine Parts also available. 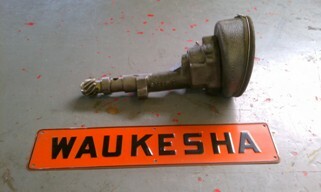 Waukesha 140 GK and GZ Engine parts also in stock. 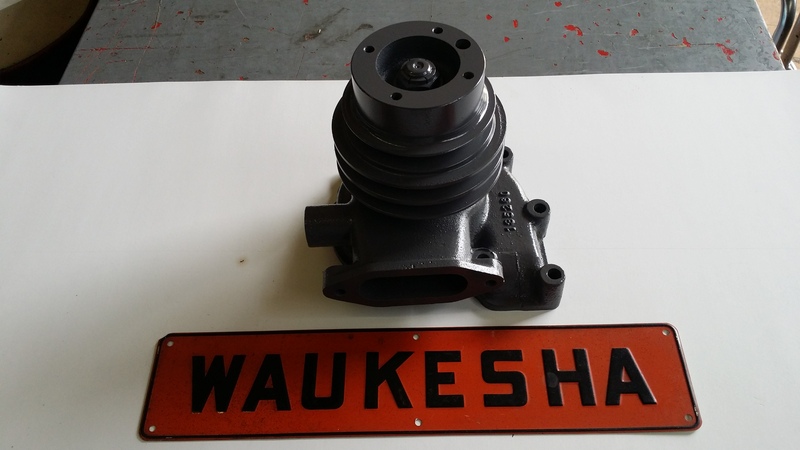 Waukesha Factory Surplus New Water Pump Assembly, With Gaskets, Generator Set, Power Unit, Pump Application [ With Tachometer Drive]. 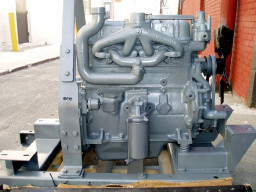 Engine Parts also available for this Engine. 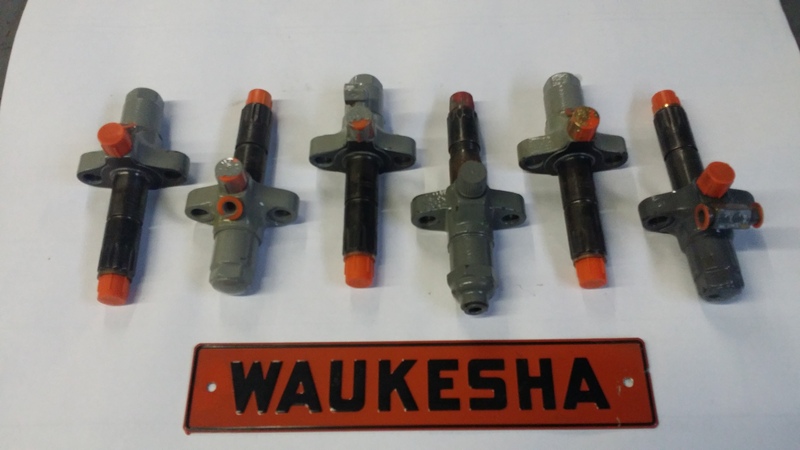 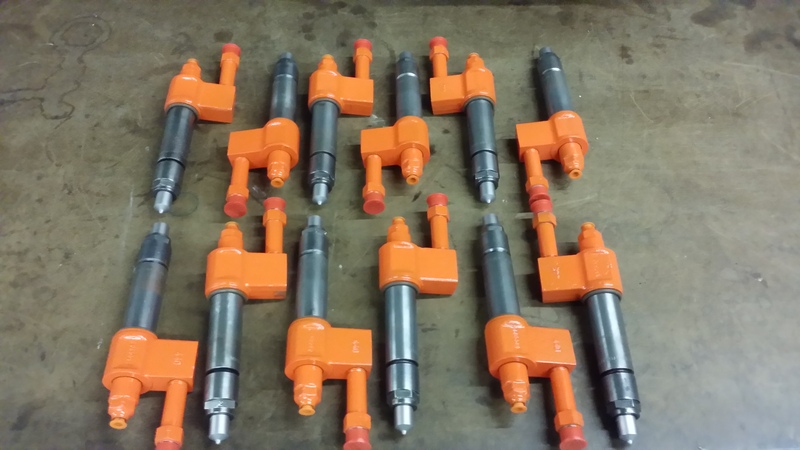 Factory surplus reconditioned fuel injectors, VHP Series Waukesha L5792 Diesel ,tested and rechecked. 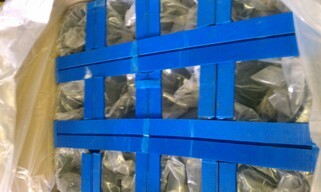 With all seals. 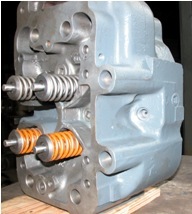 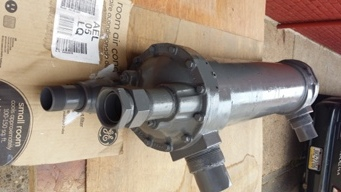 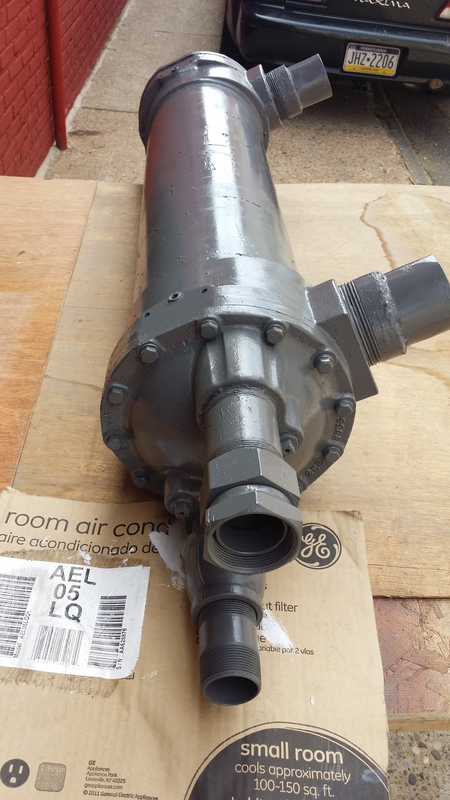 Pumps, engine parts also available for the engine in stock. 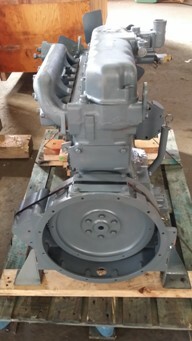 Surplus factory new complete. 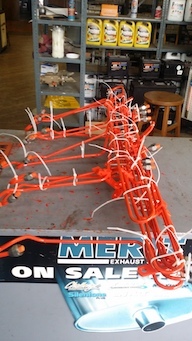 Other parts available for the Engine. 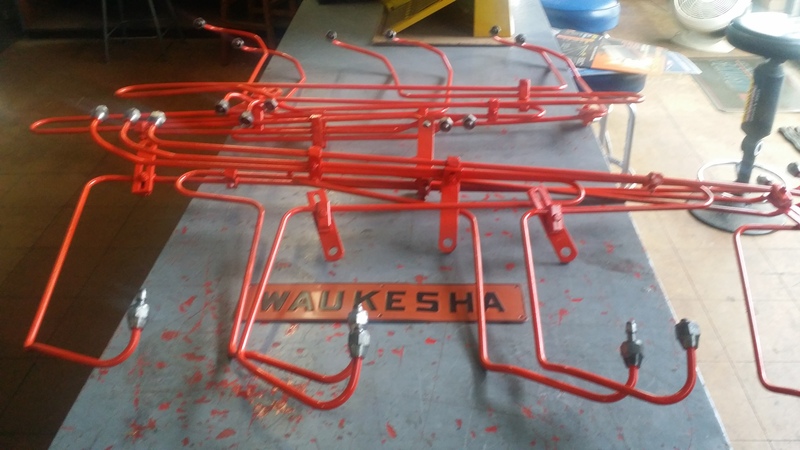 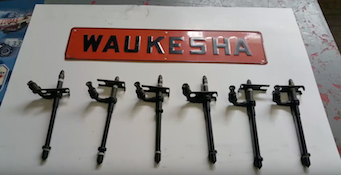 Waukesha Factory Surplus New Old Stock. 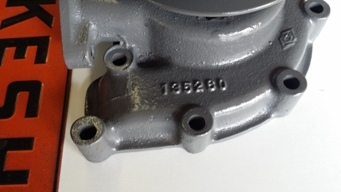 Intake Valve Set. 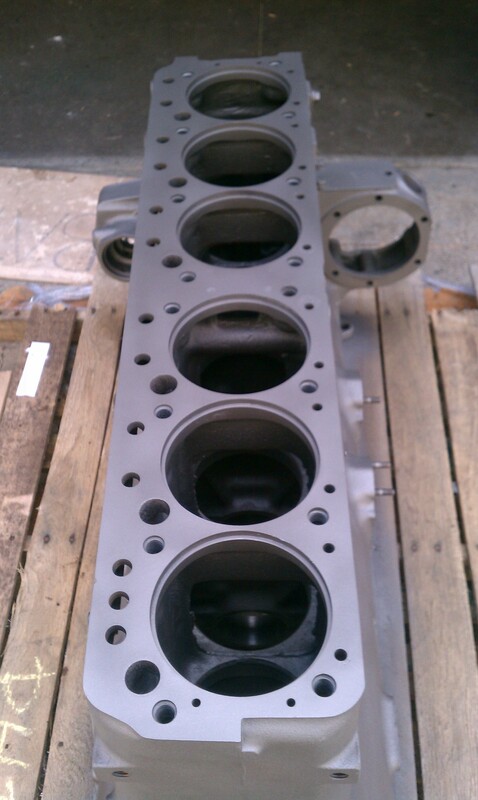 Gaskets, Liners , Injectors, Pumps, Cylinder Heads also available. 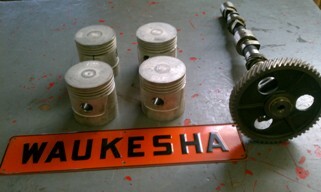 Waukesha Piston Set And Camshaft With Gear, for Model FC Waukesha Engine. Complete Engine Overhaul Parts In Stock. 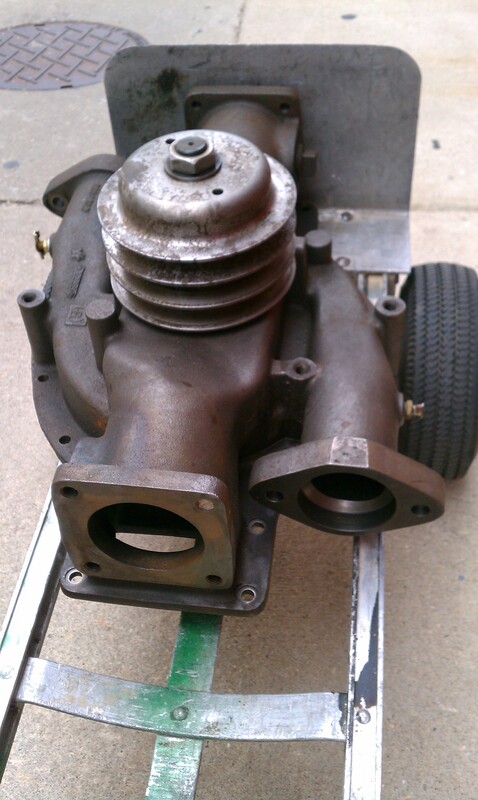 RC Case Engine parts available also. 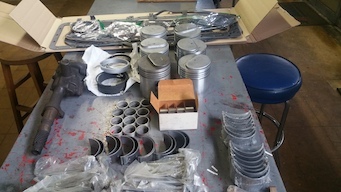 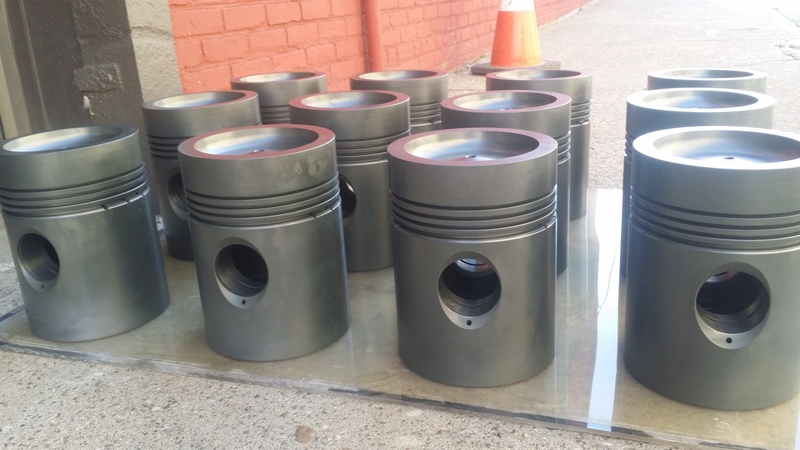 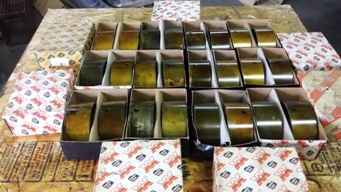 Surplus New Piston Set -Engine parts also in stock. 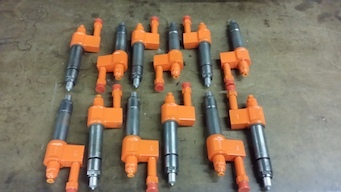 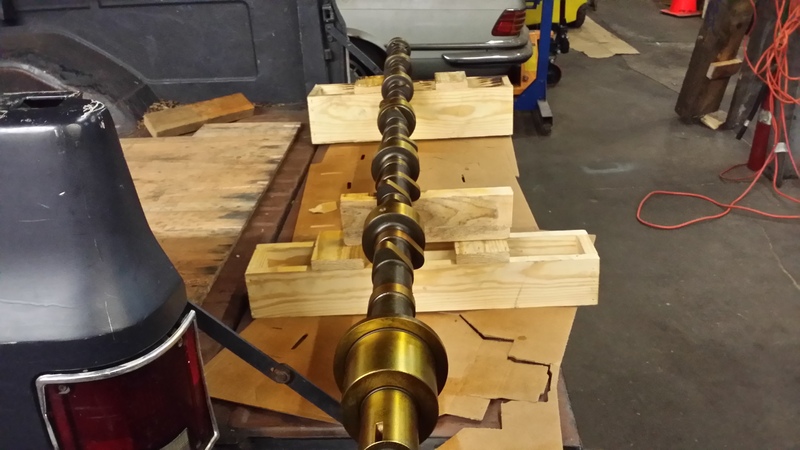 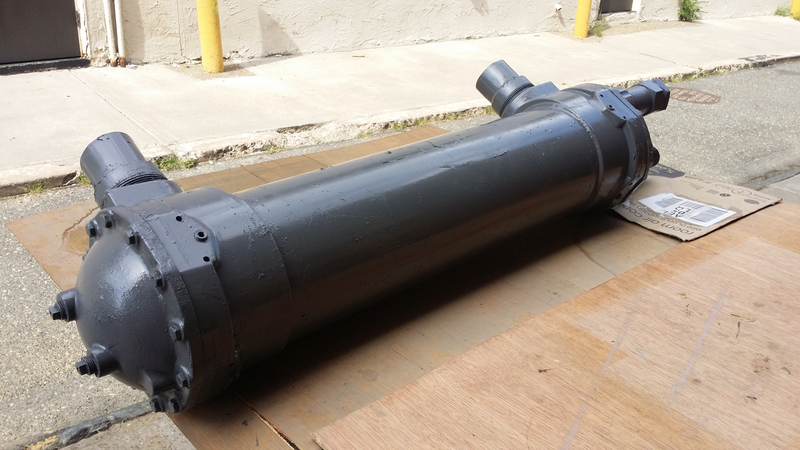 Surplus Factory Remanufactured Camshaft & Lifter Assemblies. 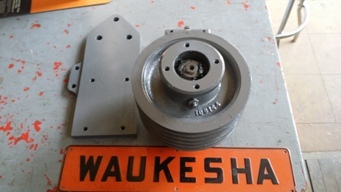 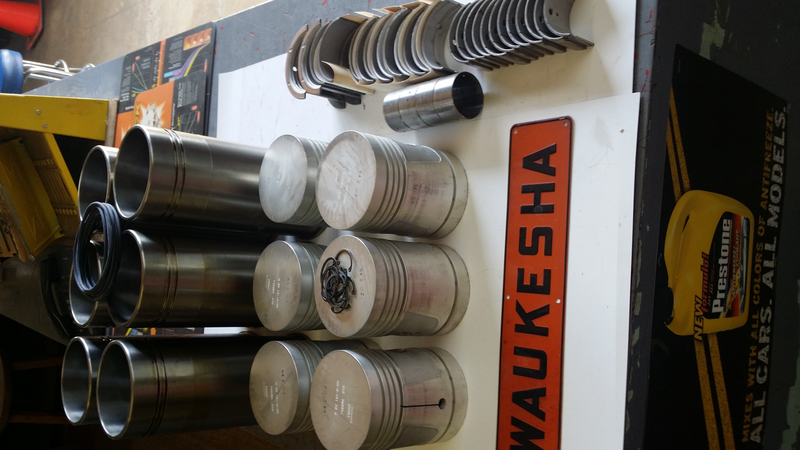 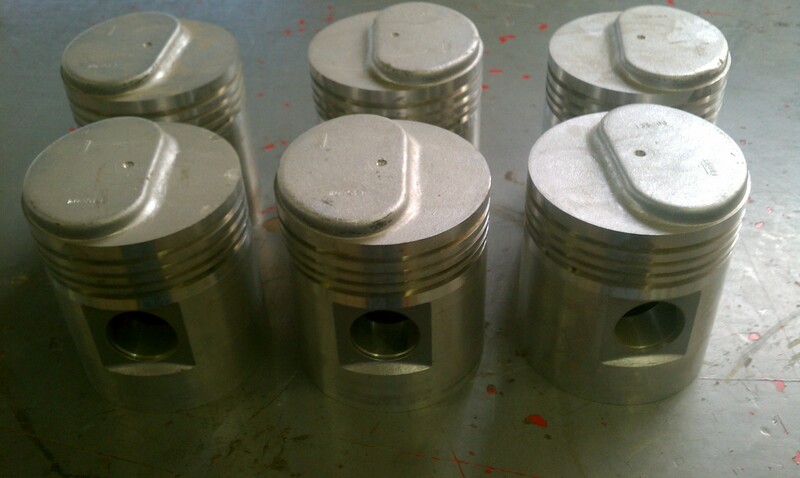 Waukesha Model 135GZ Piston Set -Engine parts also in stock. Waukesha Model 135GZ Complete Engine Overhaul Kit. 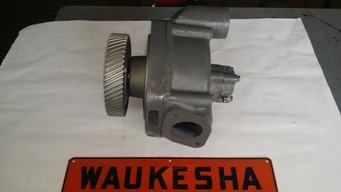 Waukesha Model F1197G New Engine Take Off, 1800RPM Govenor Assy . 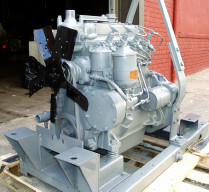 Engine kits and parts in stock. 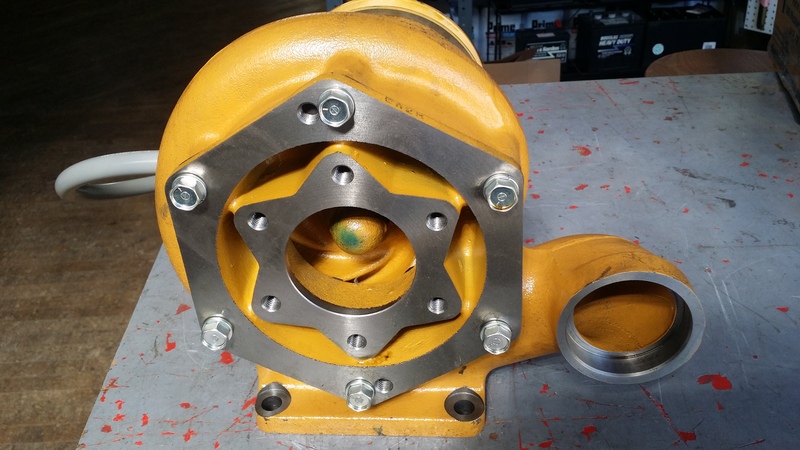 Waukesha 195 GK Oil Pump Assembly, For Tractor Puller, Michigan Loader, Hough Payloader, other Waukesha 195 GK Engine Applications. 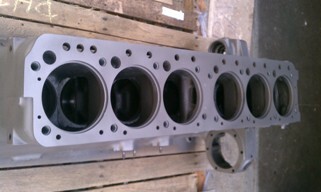 Engine parts and gaskets in stock . 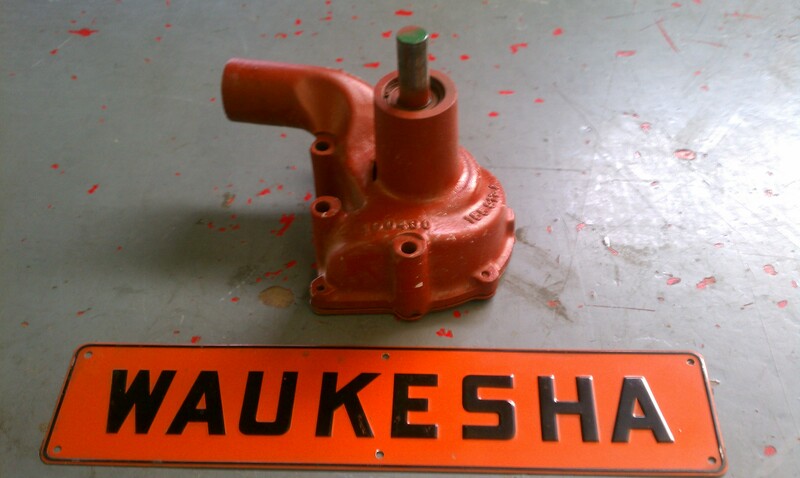 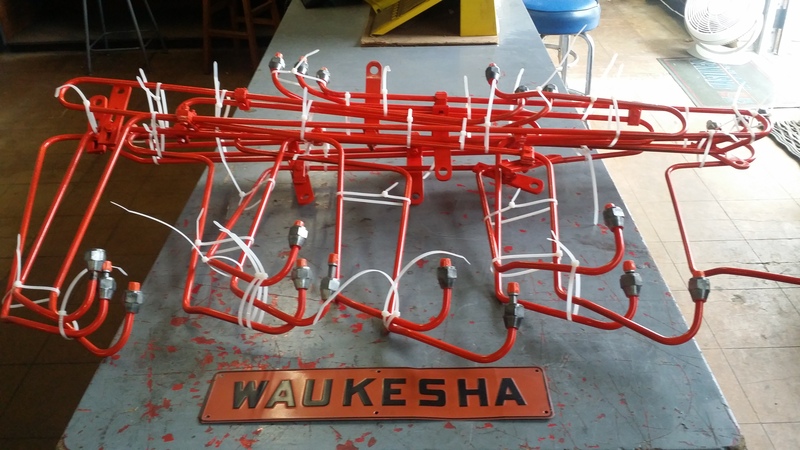 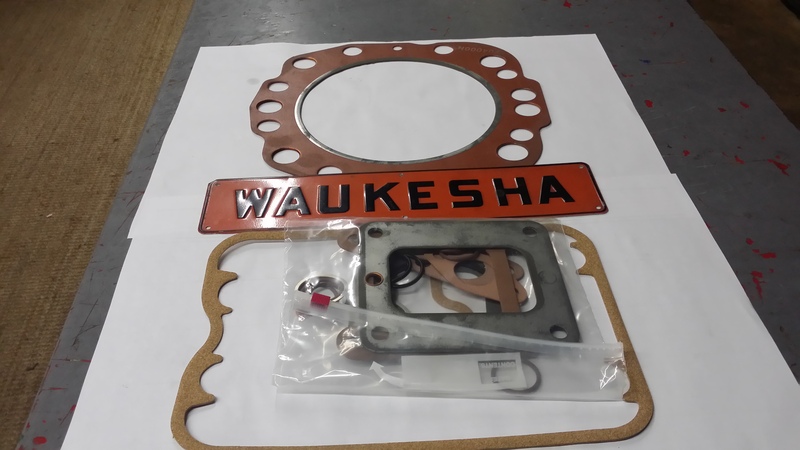 Waukesha Factory Surplus New Complete Dual Carburetor Assembly, with linkage, filters, Antique Firetruck, Waukesha F817G. Waukesha L 5792 VHP Diesel Surplus Pistons. 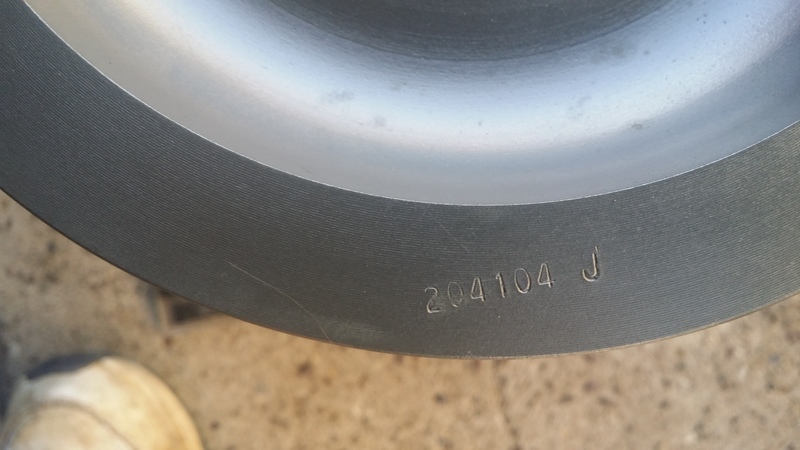 P/N 204104J. 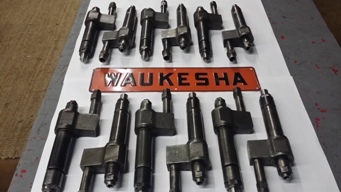 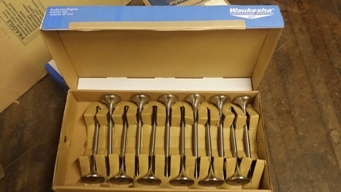 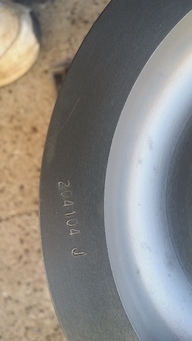 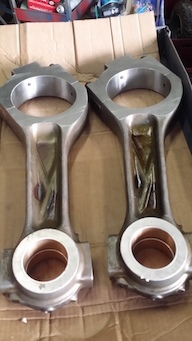 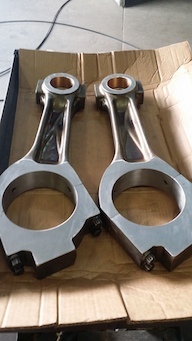 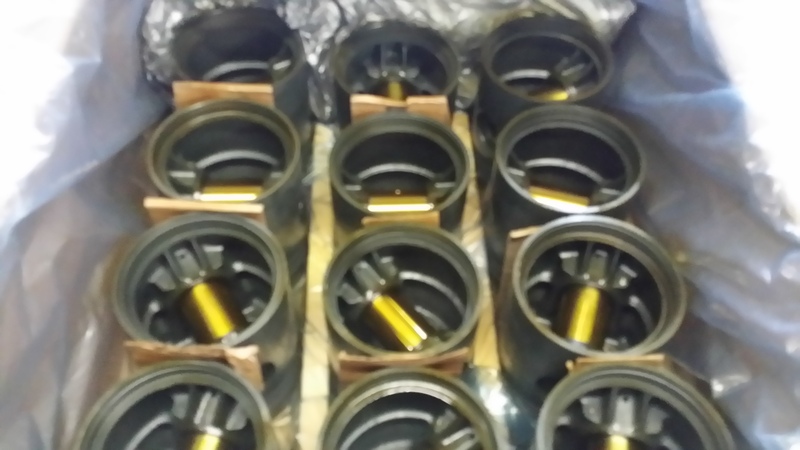 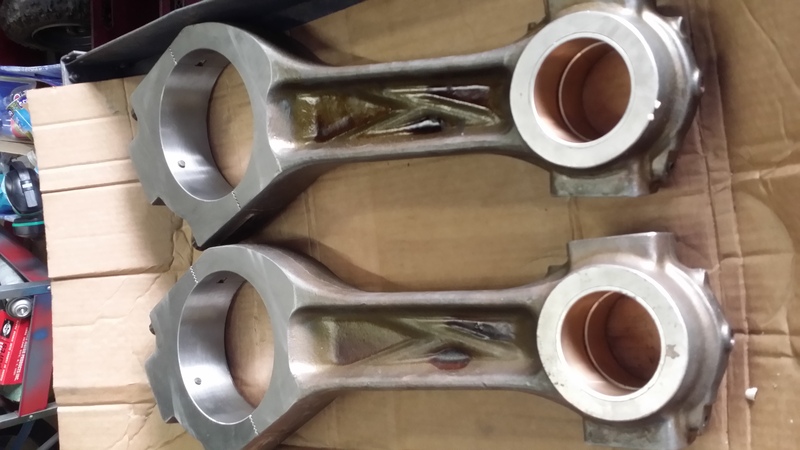 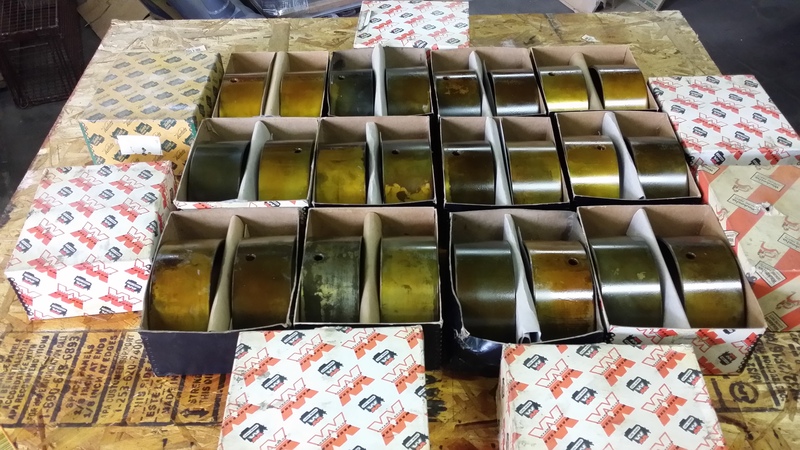 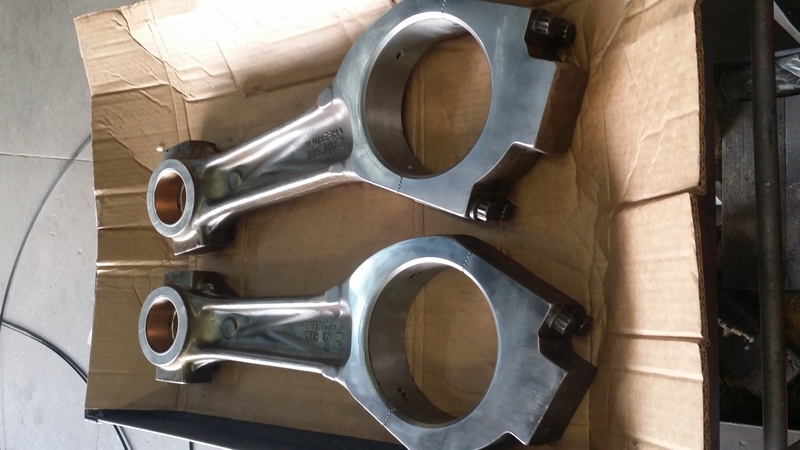 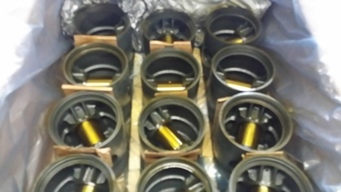 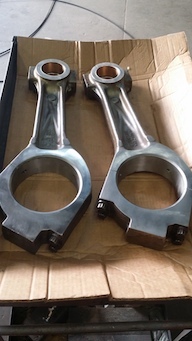 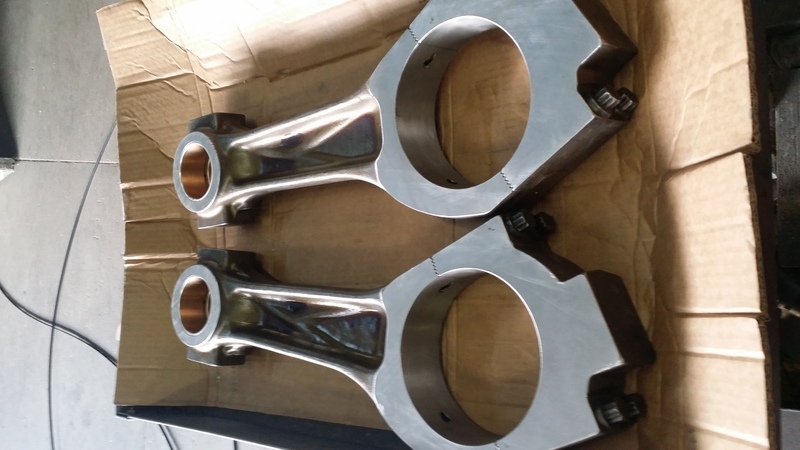 Waukesha VHP Diesel Surplus Reconditioned Connecting Rods 205407H, " B" weight, L5792 . 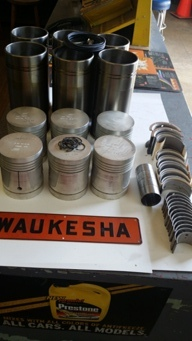 Other parts in stock. 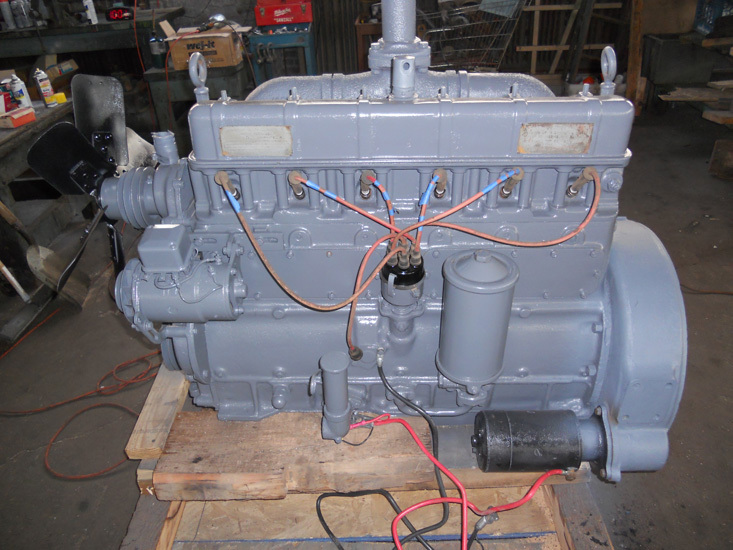 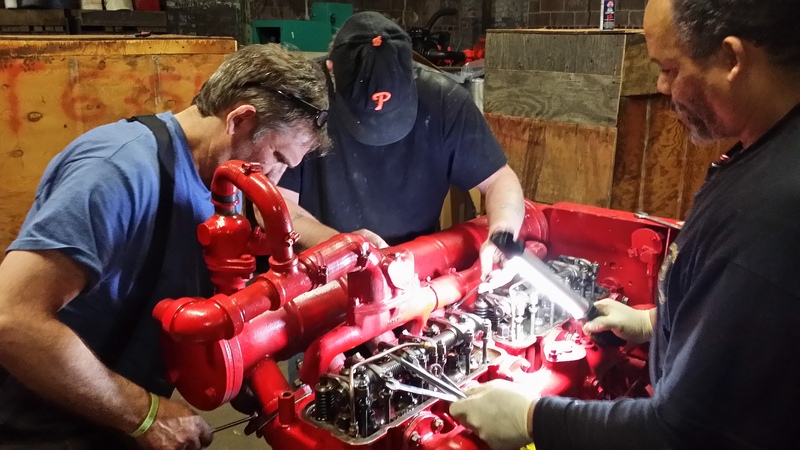 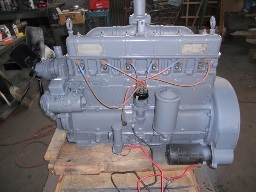 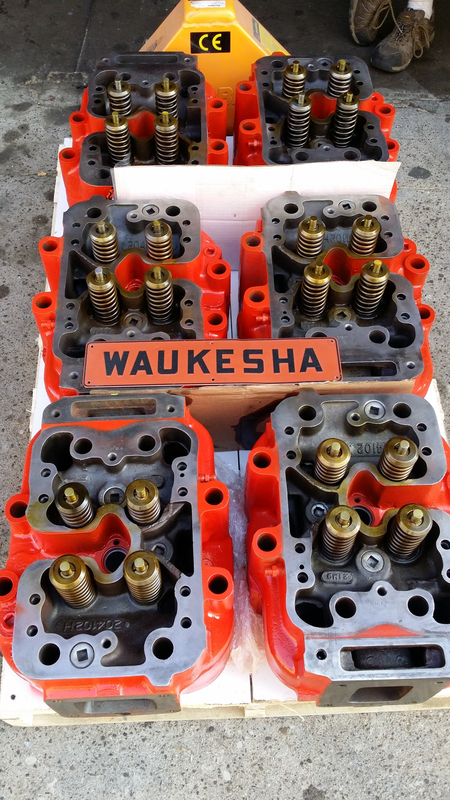 Waukesha L5792 VHP Diesel Low hour engine take off fuel line sets, cleaned, inspected, leak tested. 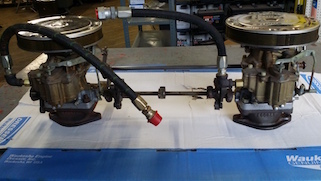 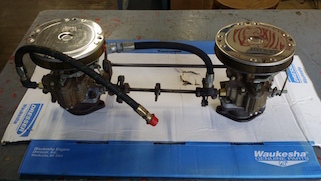 We have fuel injectors, injection pumps, obsolete internal engine parts for these units in stock. 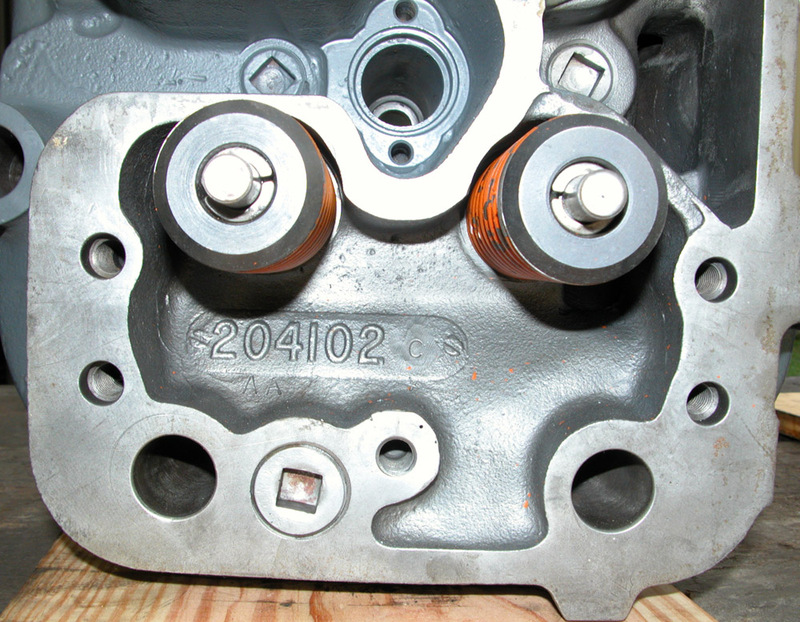 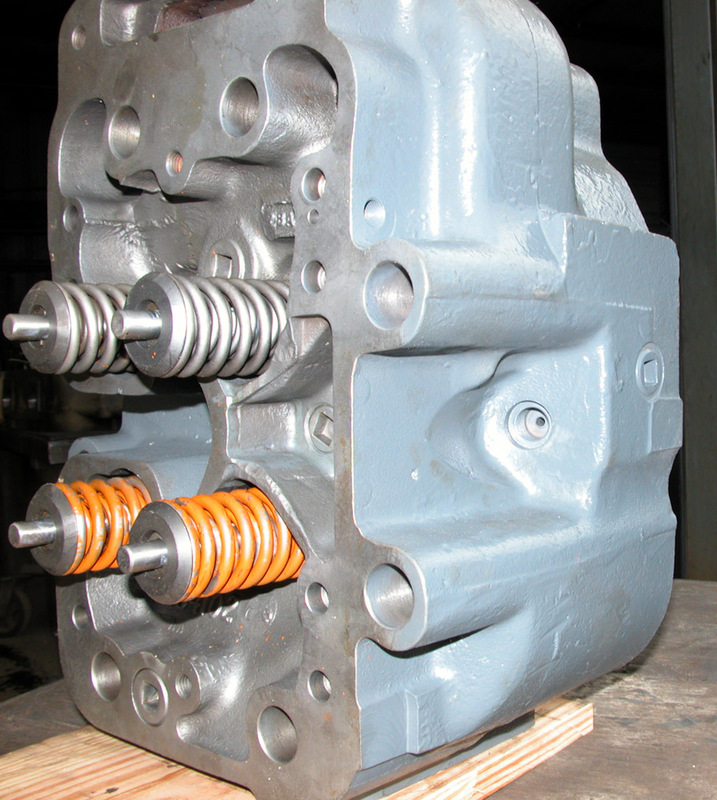 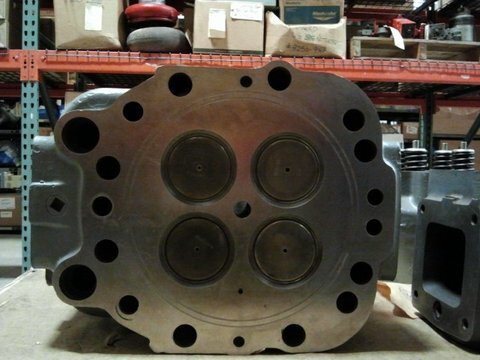 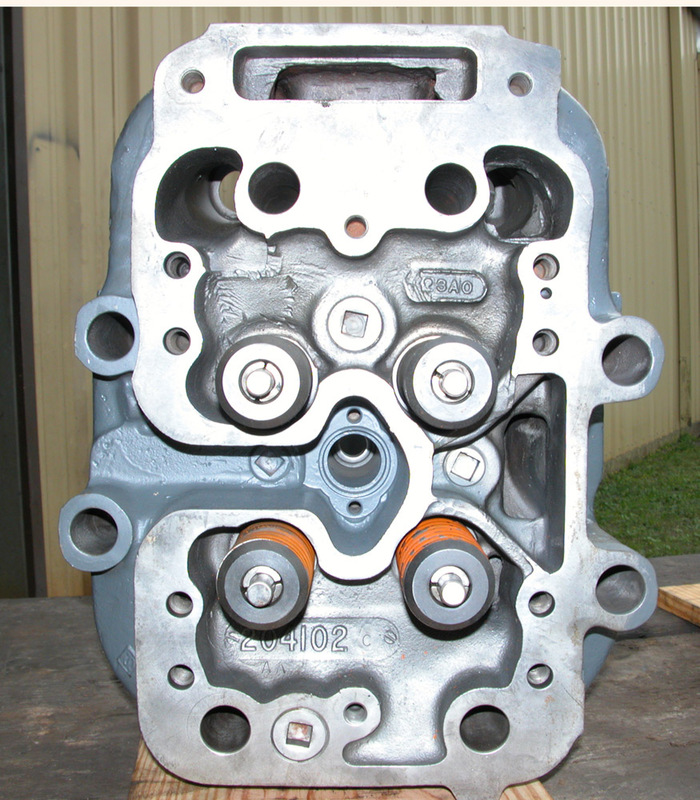 We have in stock a new cylinder block, cylinder heads, water pumps, oils pumps, and other parts. 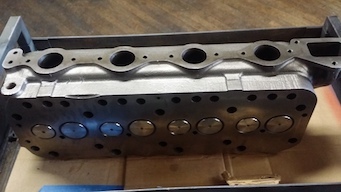 Long Block. 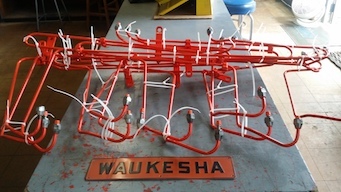 Fire truck, crane, or stationary unit application. 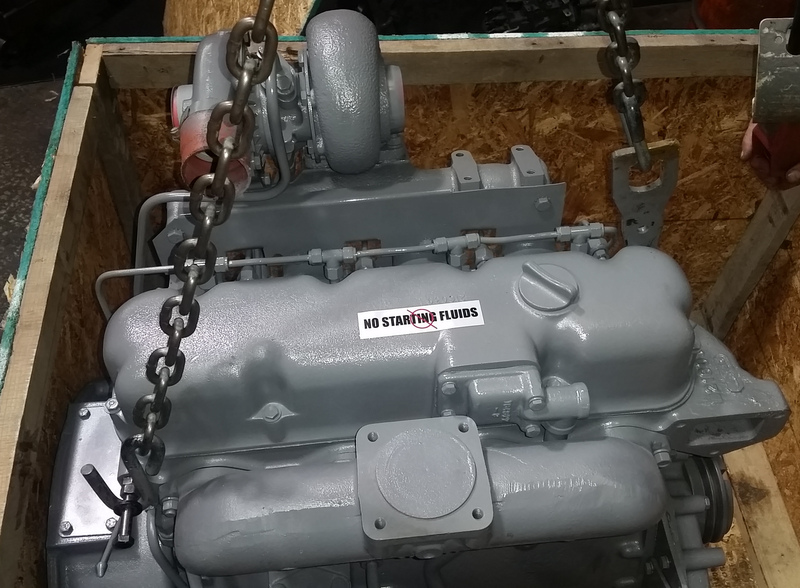 We also stock engine bearings and gaskets for this engine. We have in stock rebuilt cylinder heads, fuel injectors, injection pumps and water pumps and other parts for this engine. 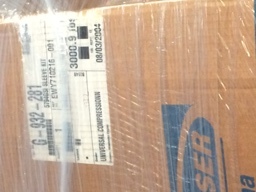 Two in stock! 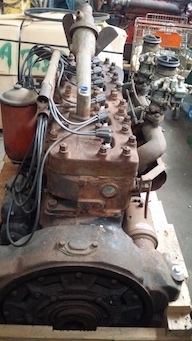 New engine parts and accessories also available for this engine. 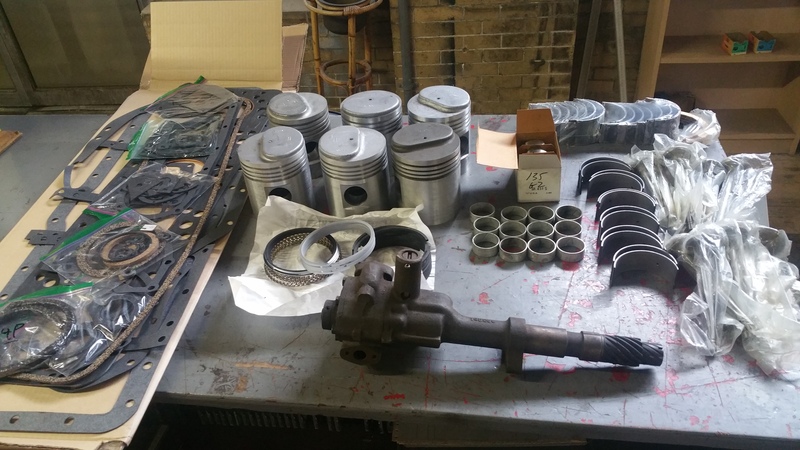 We also stock a full inventory of genuine Oliver parts for this engine, including crankshafts, rebuilt fuel injectors, engine bearings, pistons, water pumps, and oil pumps. Carburetors, connecting rods, and other engine parts available for this engine. 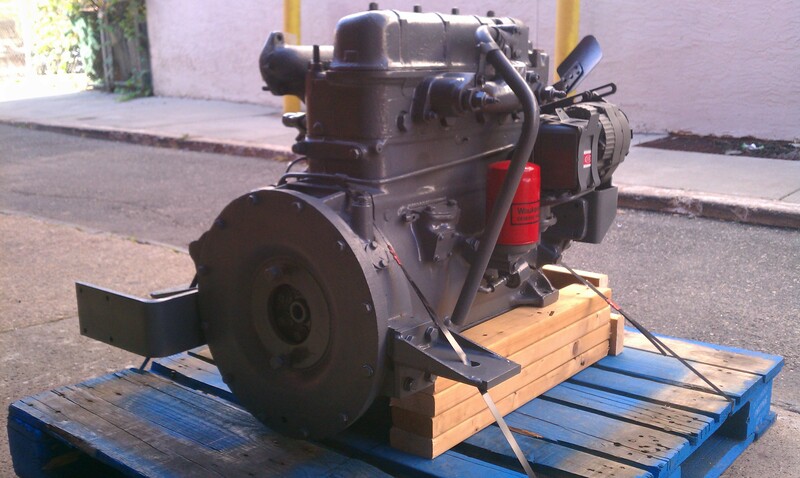 Call 215-236-8500 or email info@jobbersinc.com for immediate availability! 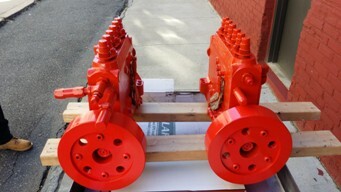 Copyright © 2003-15 Jobbersinc.com. All Rights Reserved. 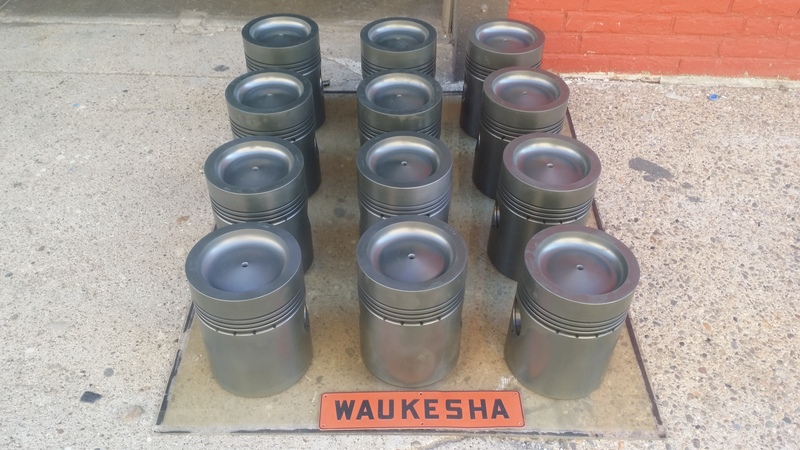 Waukesha 1077, Waukesha 2475, Waukesha 1616, Waukesha 1197, Waukesha H17, Waukesha 554, Waukesha 145, Waukesha 140 engines, Waukesha Parts.